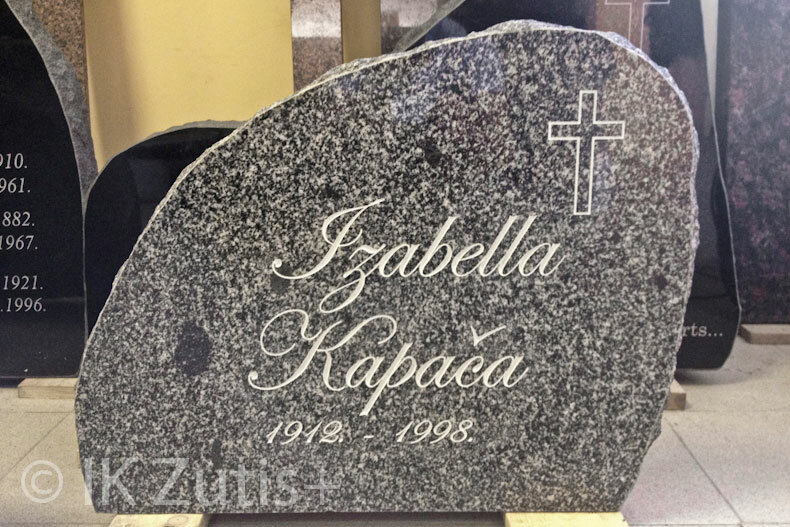 Tombstone offers one last chance to perpetuate beloved one who’s in eternity. 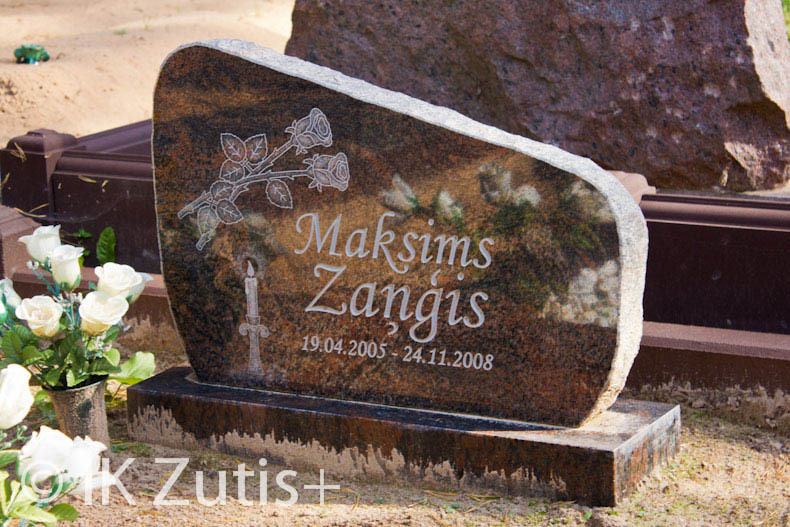 Tombstone is testament about deceased life which will stay on this earth for years to come. 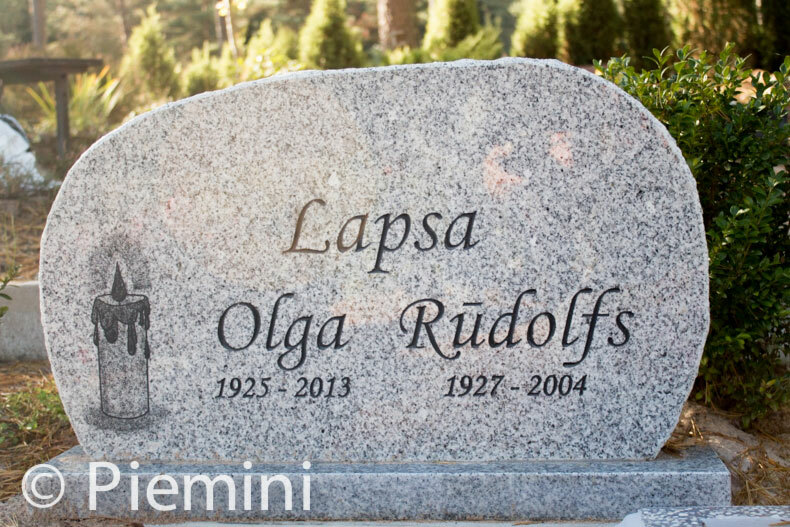 That’s why it’s essential to chose right tombstone. 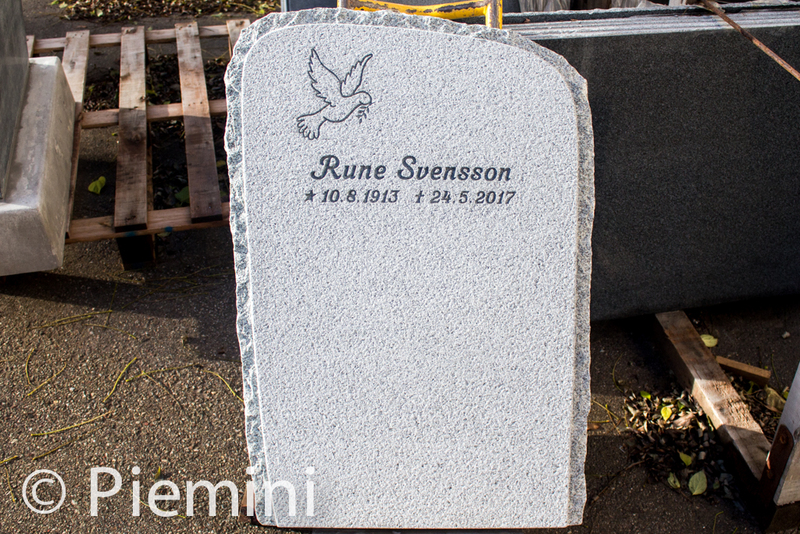 Tombstone reminds of loved ones life that’s why clients chose special motive or particular message to accomplish this purpose. 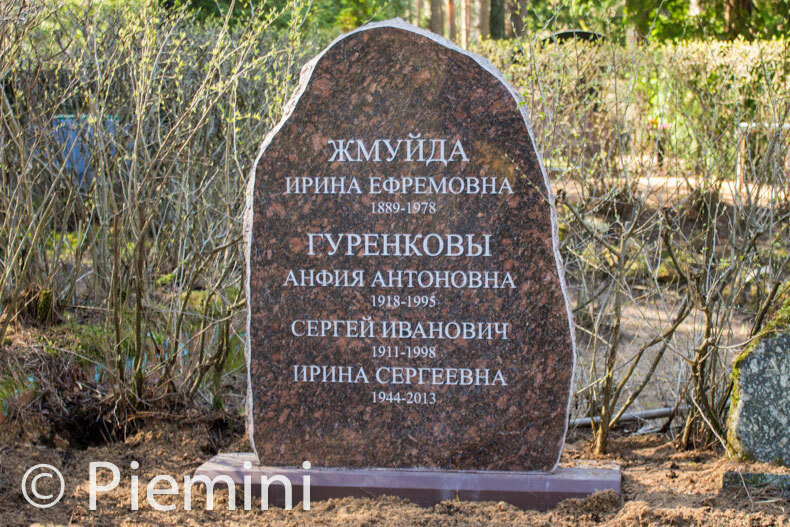 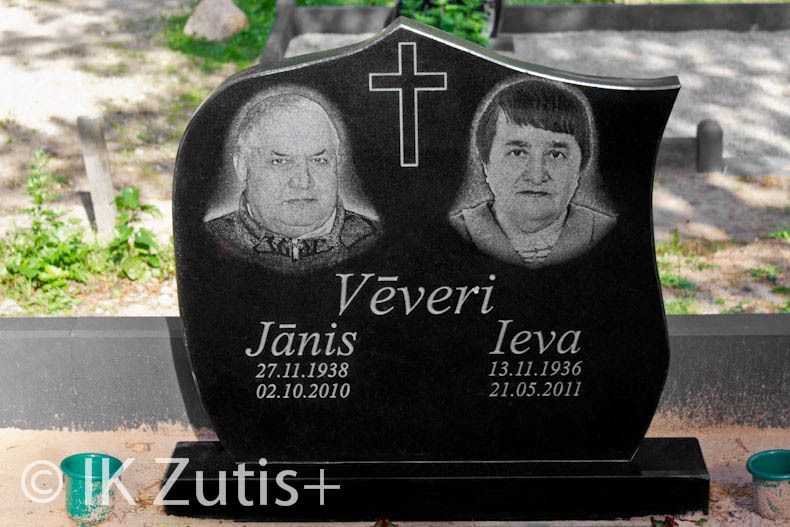 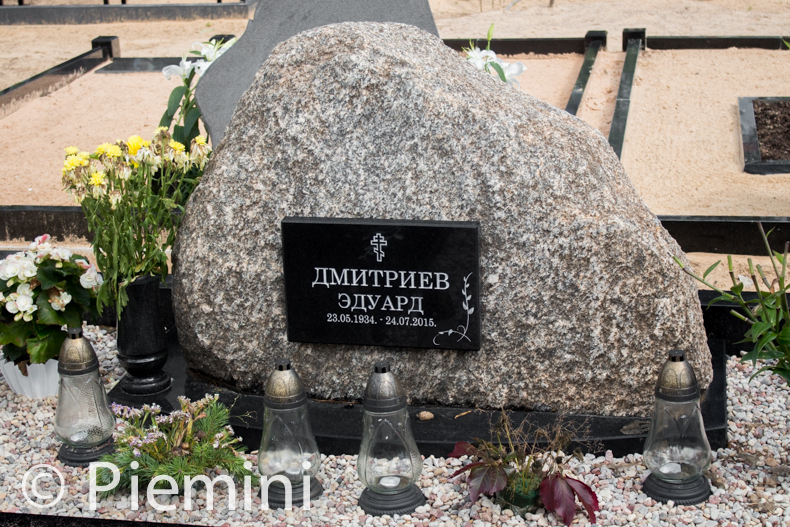 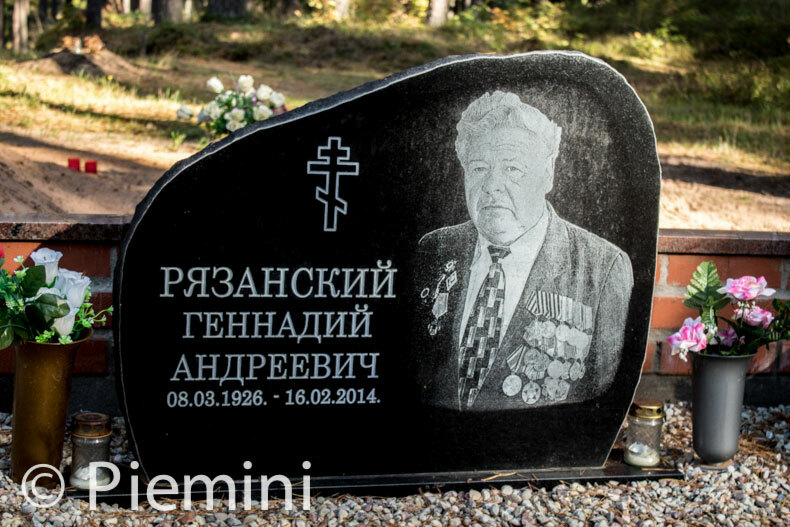 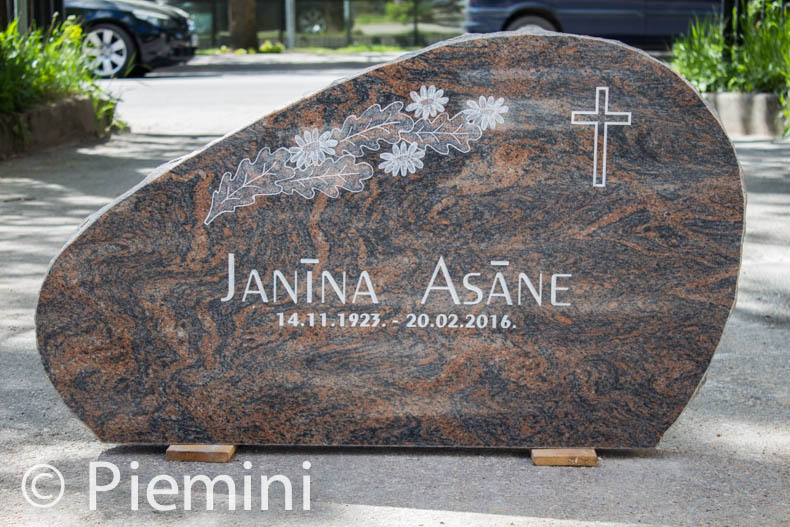 Tombstones are made from granite. 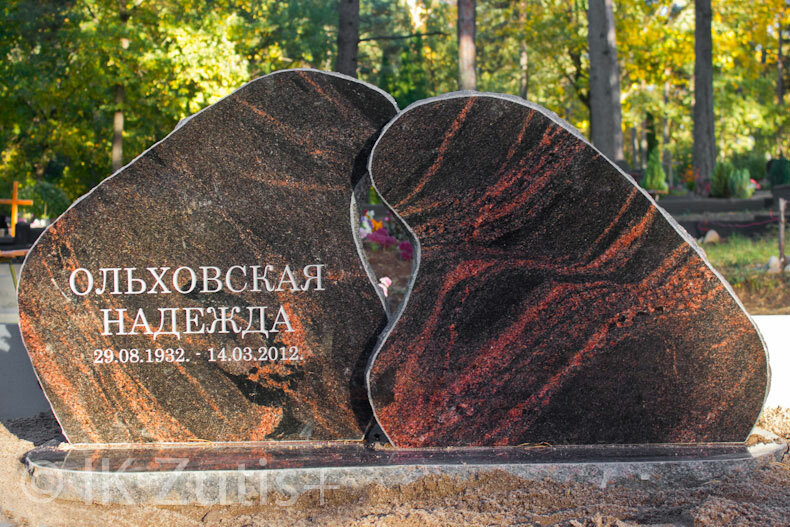 Granite is one of hardest stones, that’s why it is very suitable for outdoors due to high resistance against salt and weathering and is persistent against wear and tear. 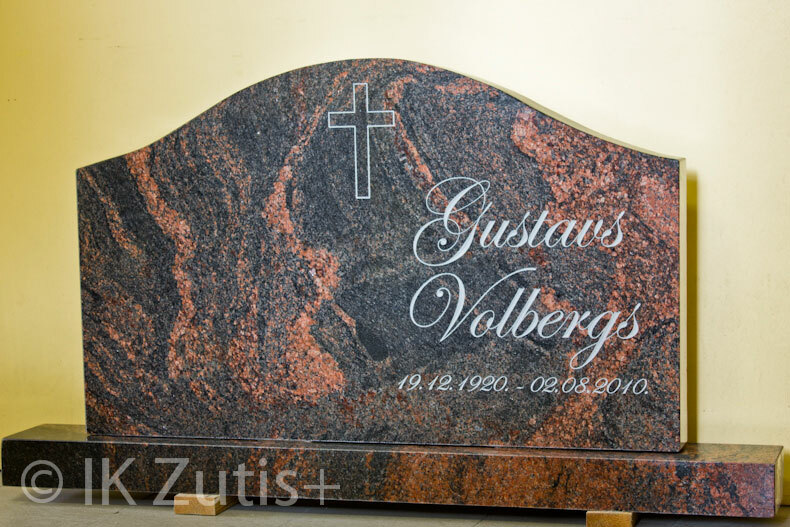 Granite is available in different colours and with different textures. 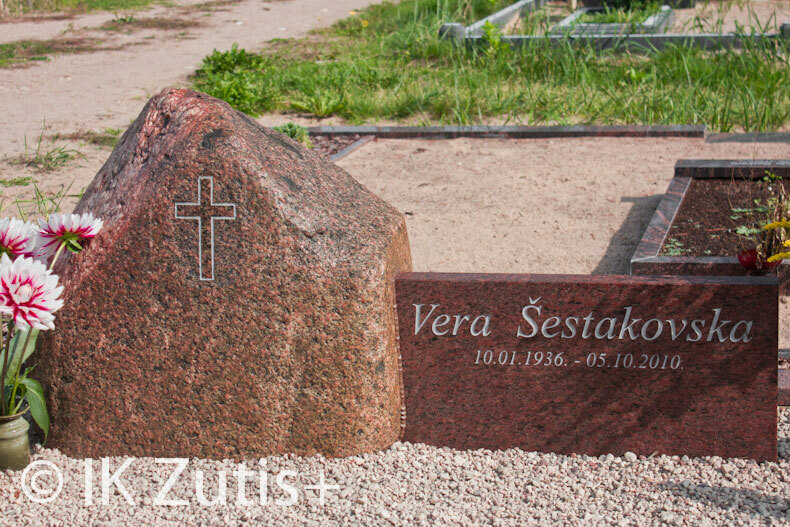 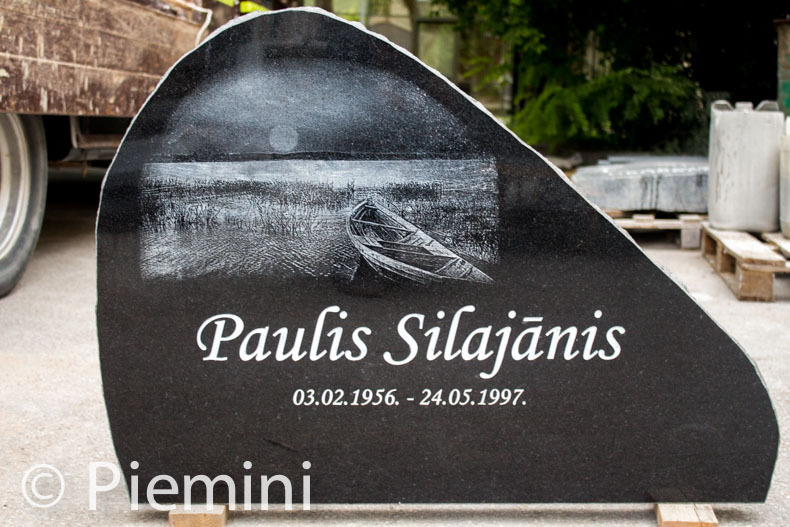 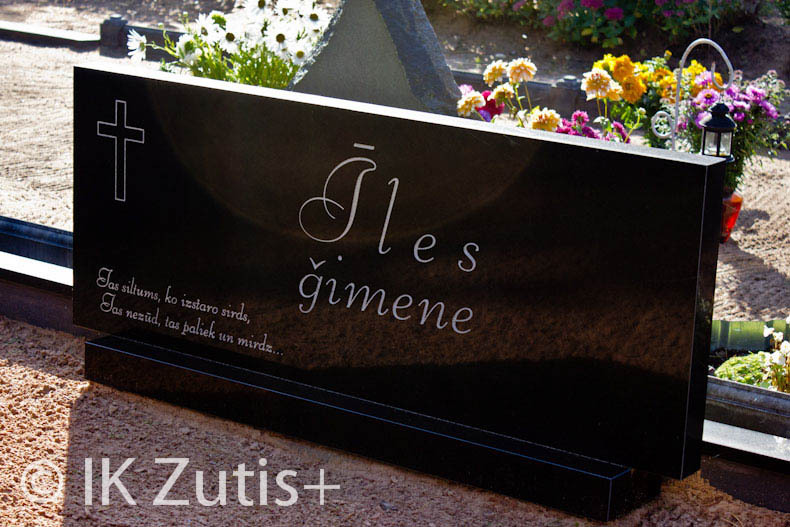 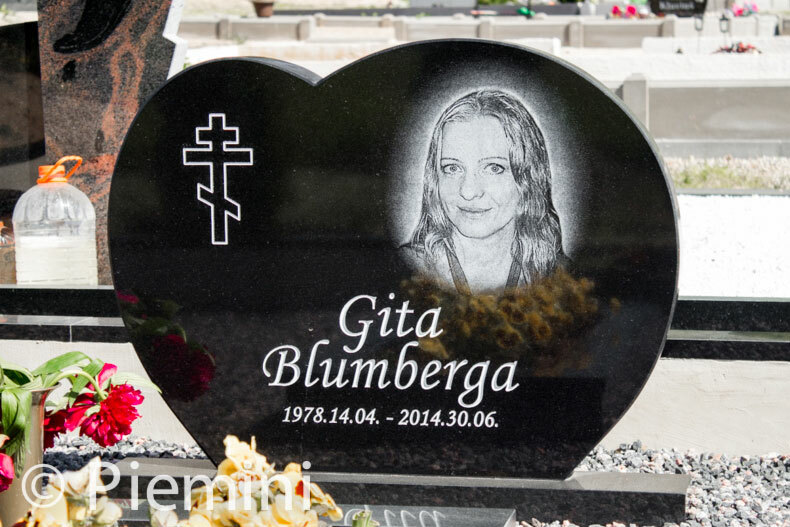 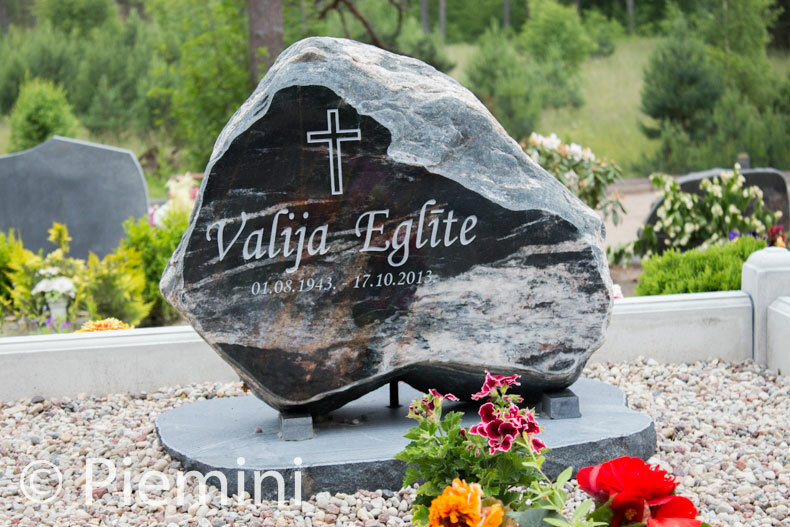 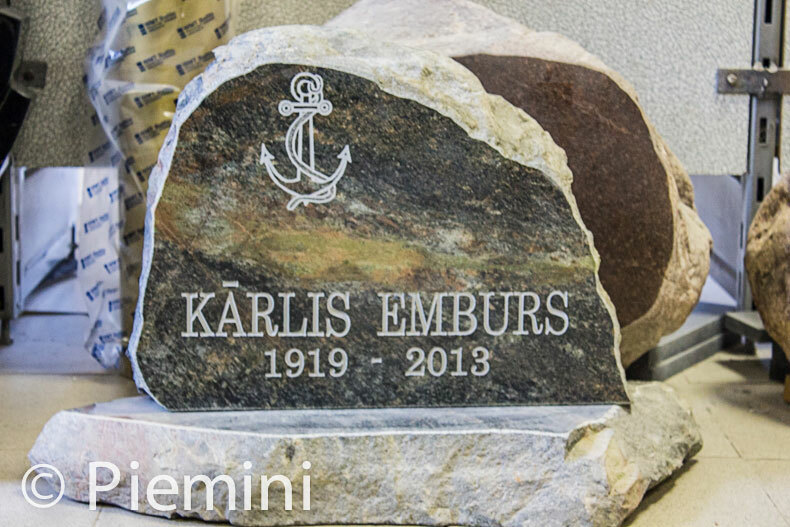 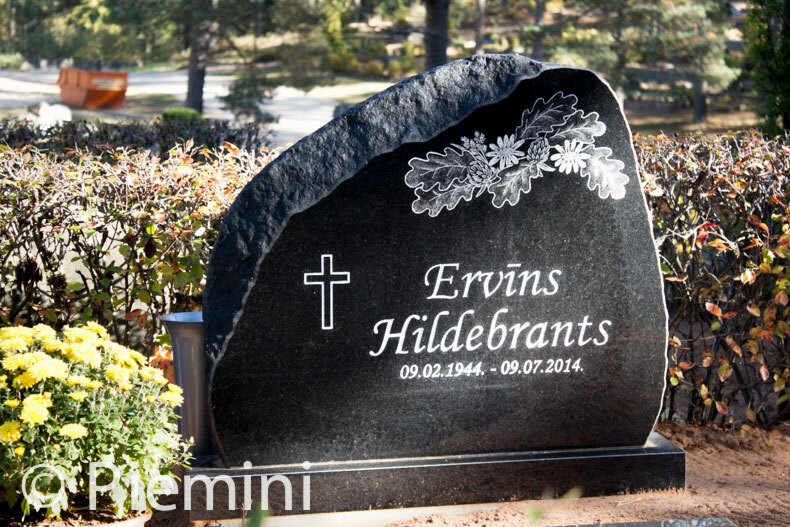 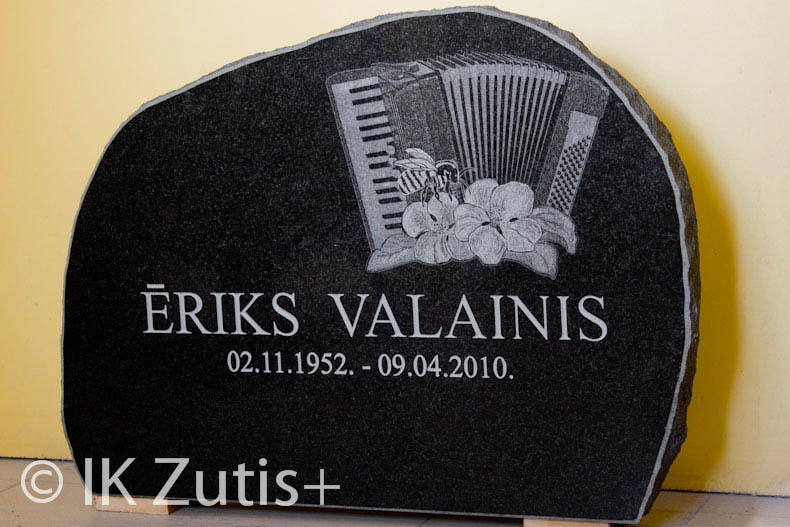 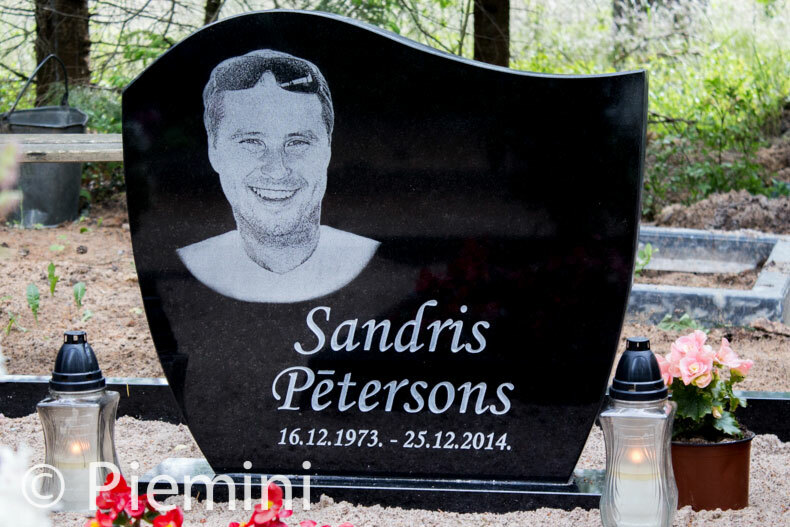 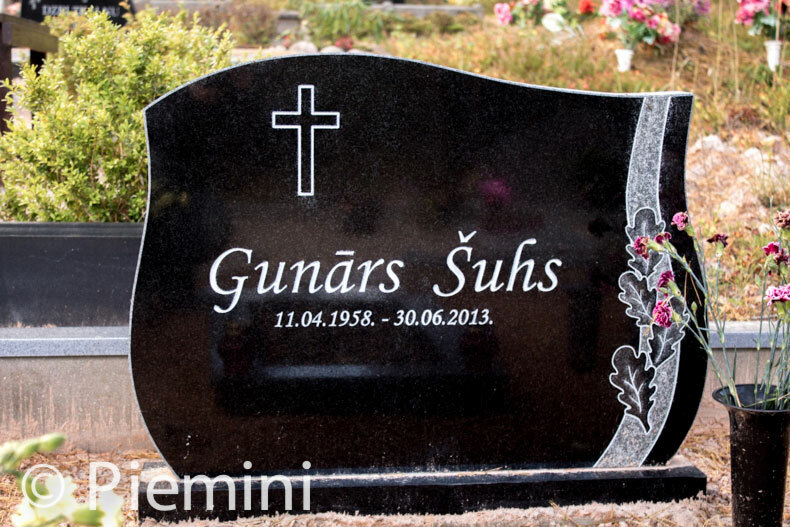 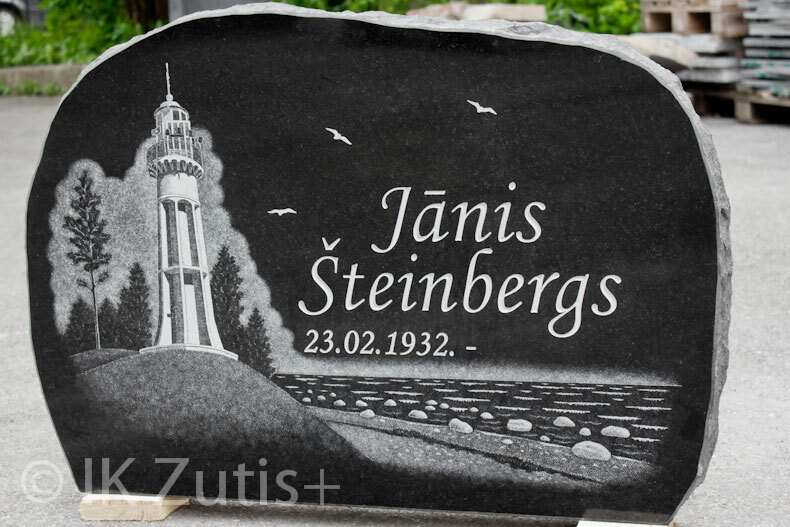 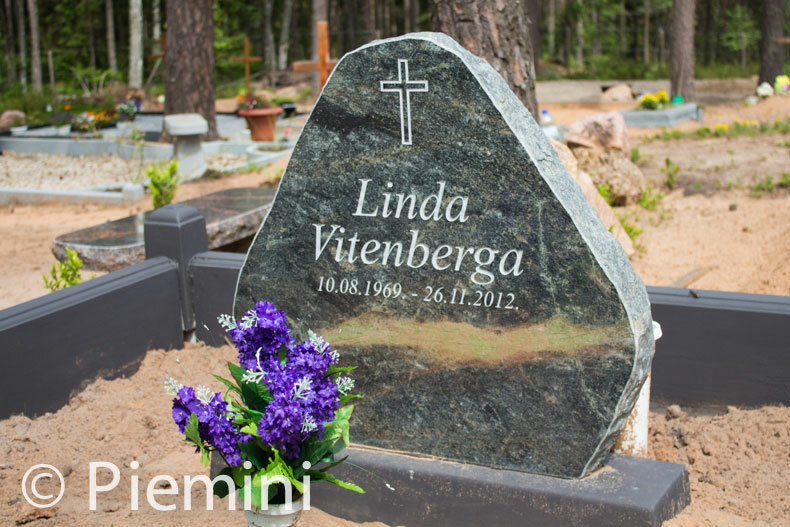 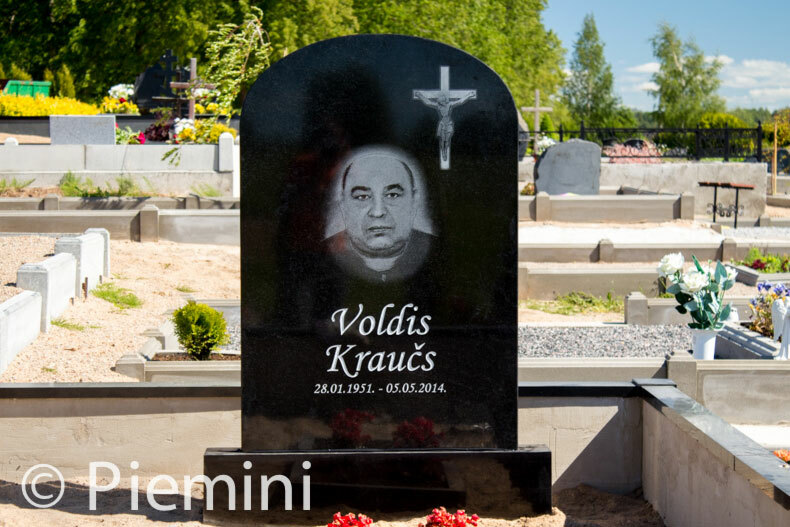 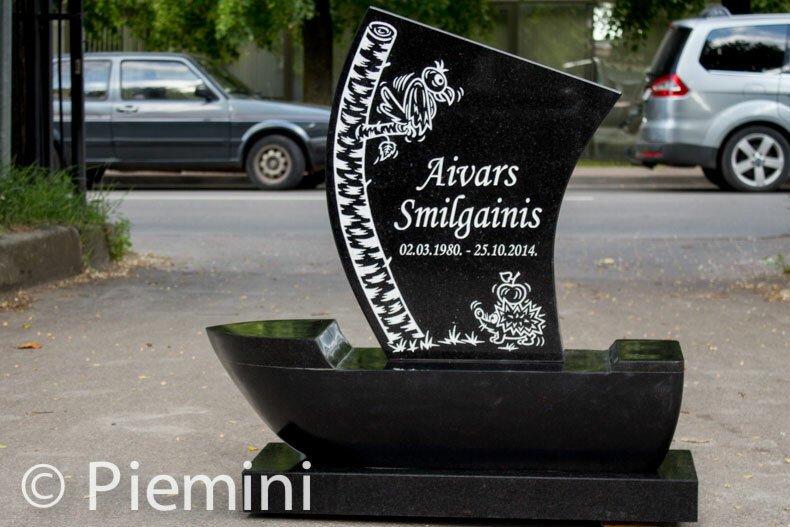 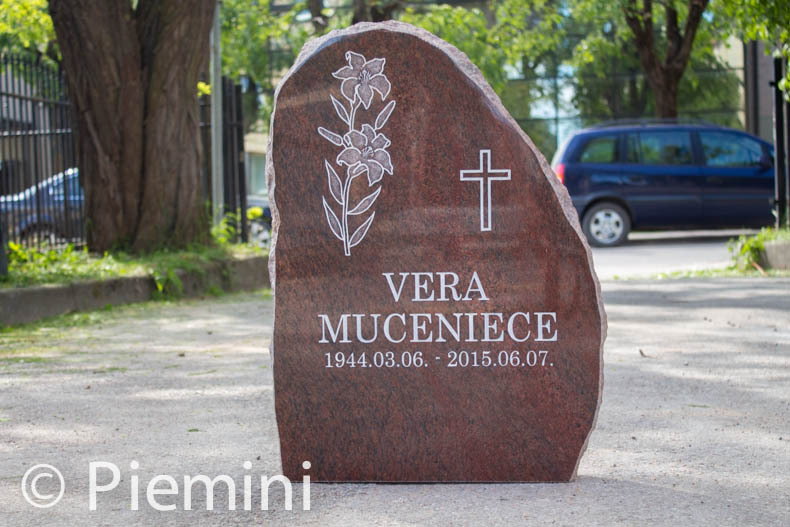 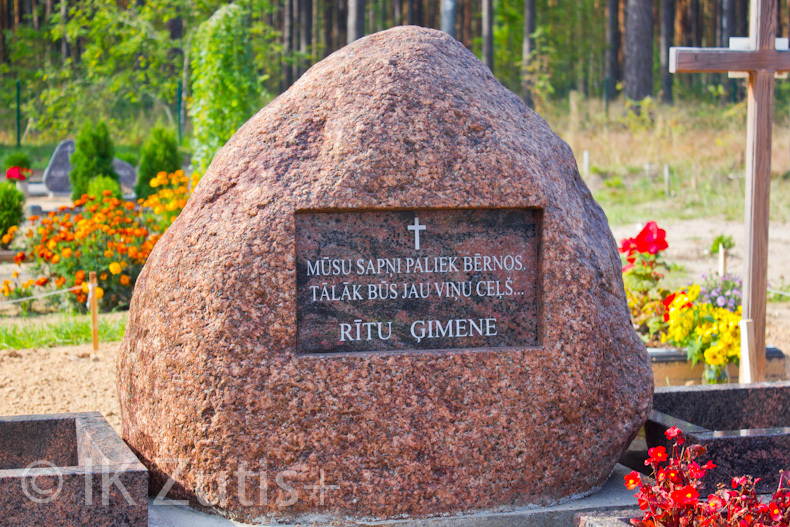 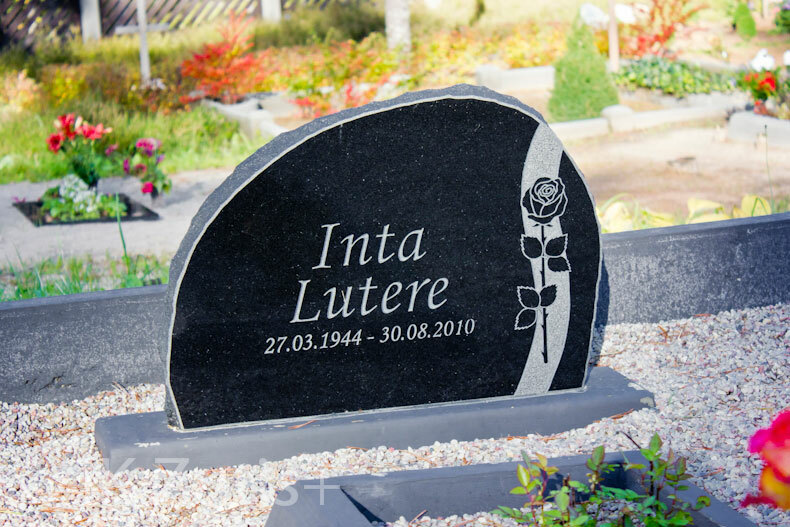 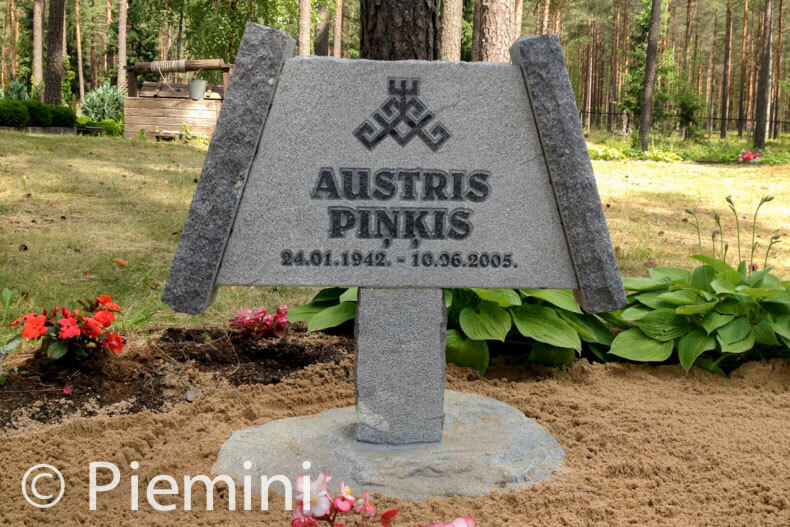 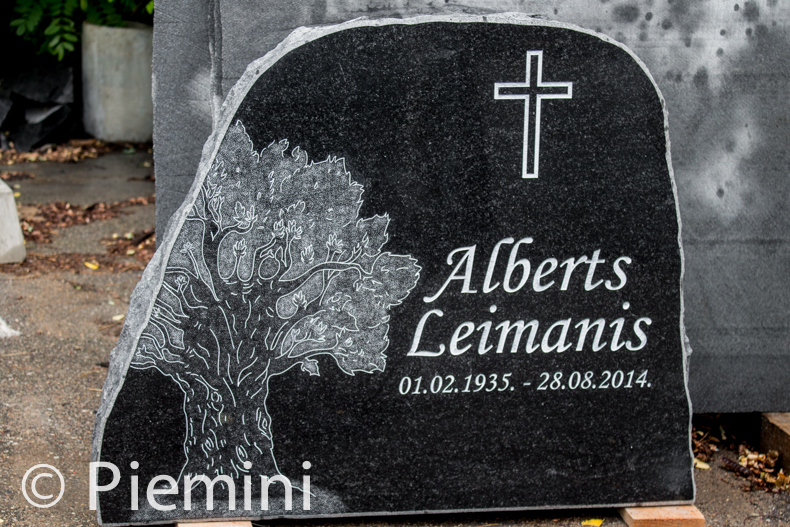 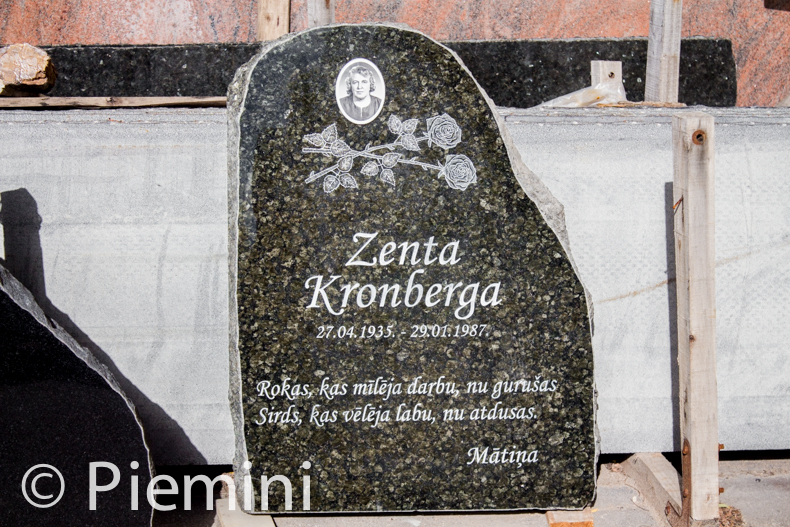 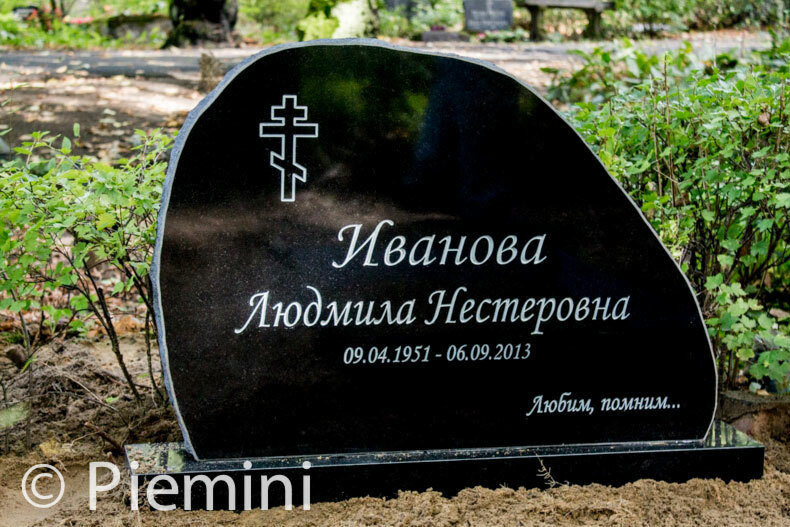 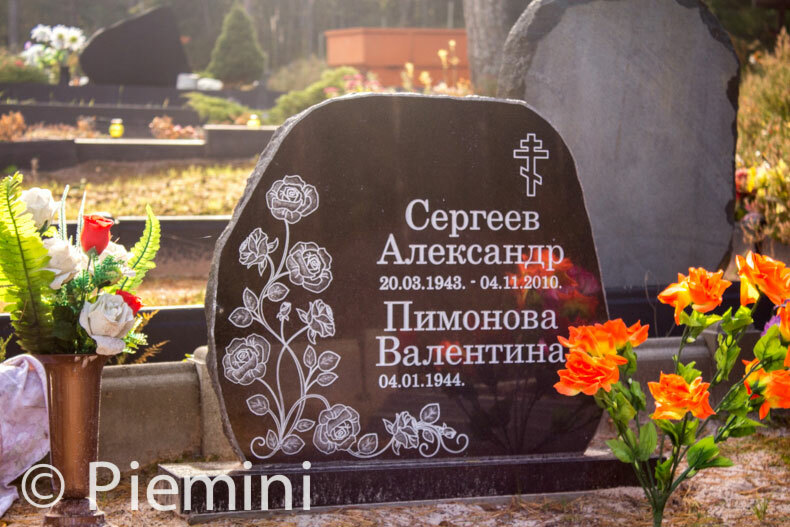 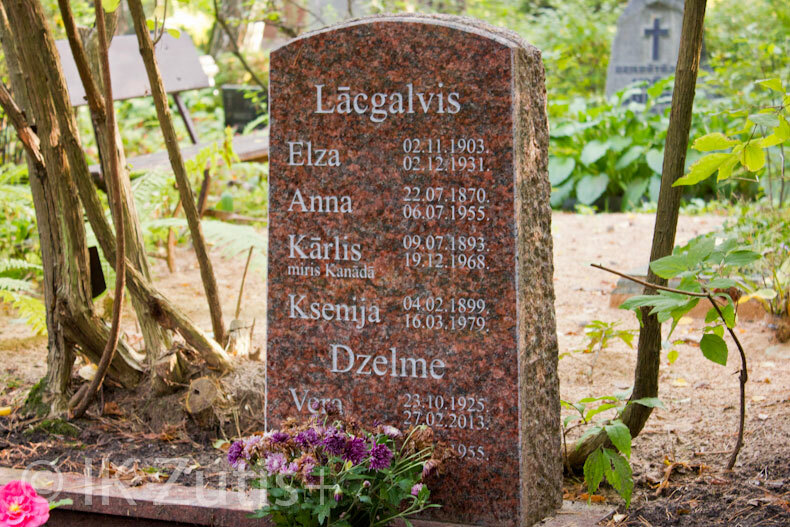 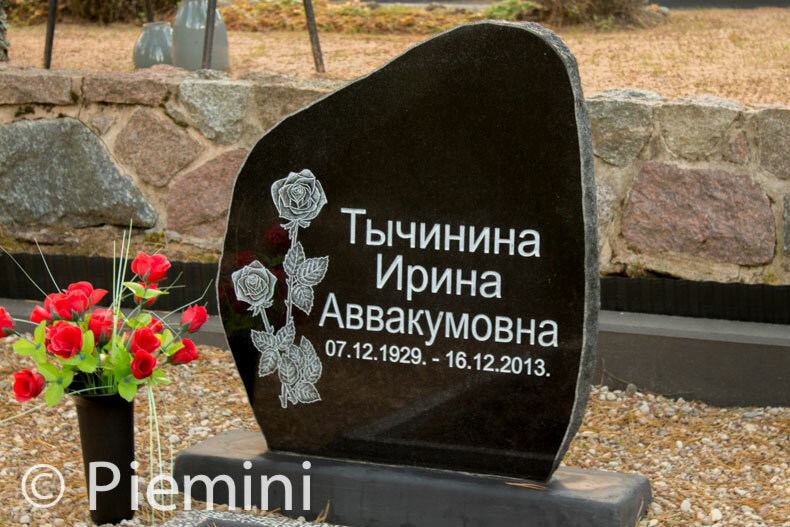 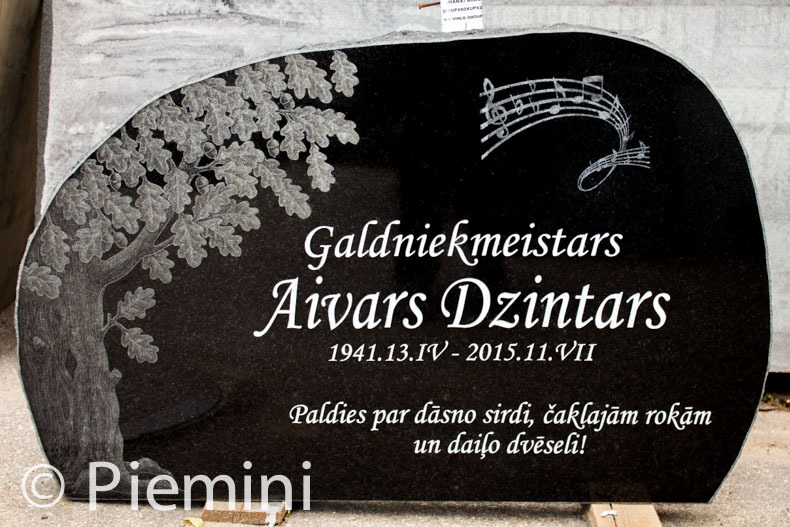 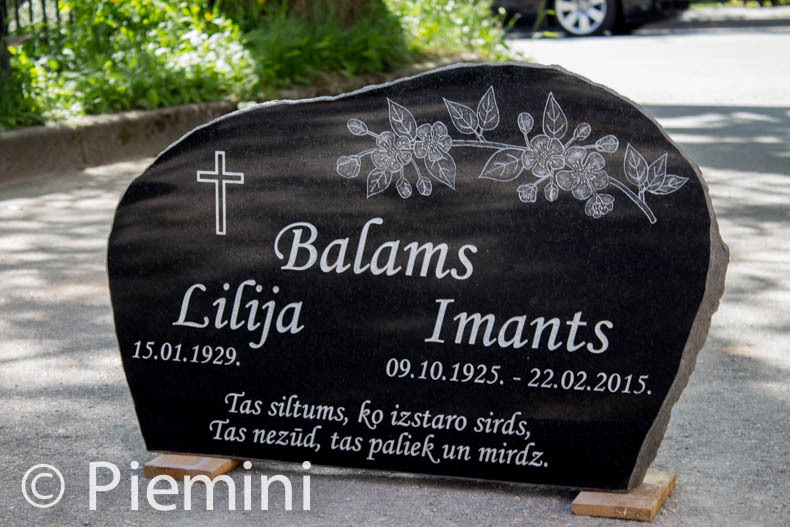 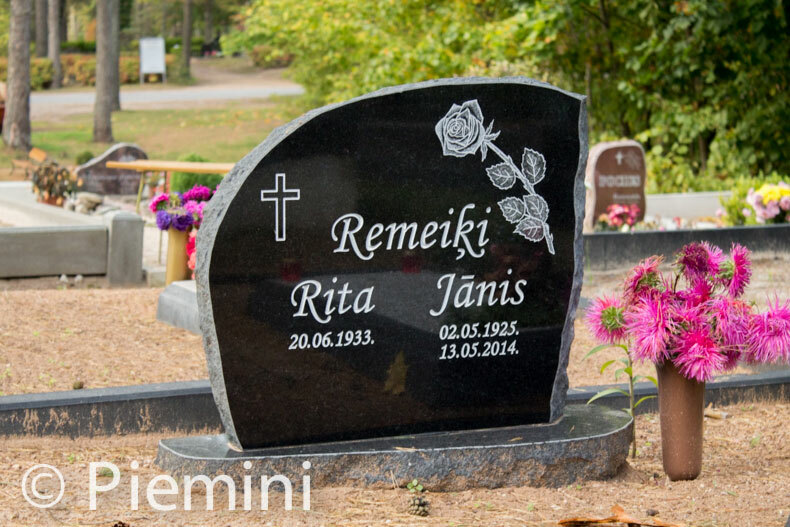 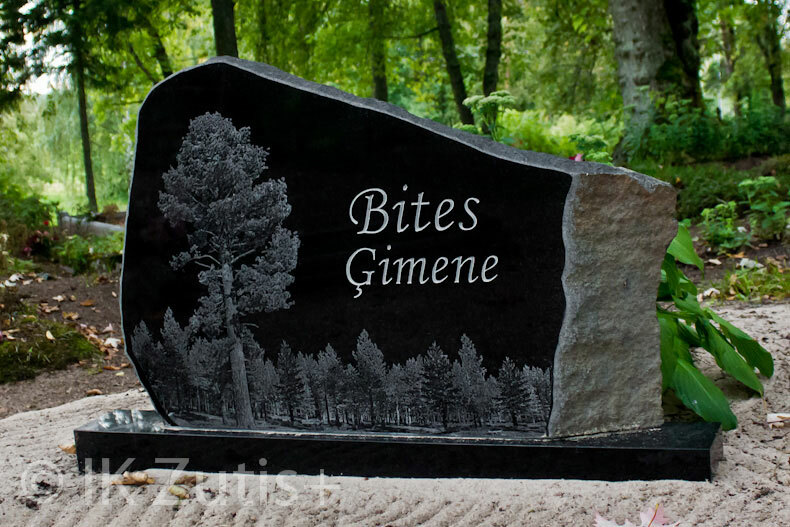 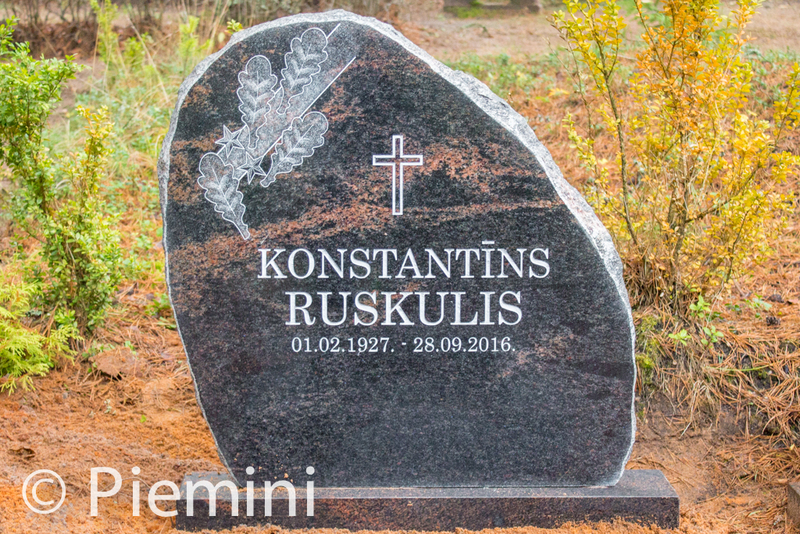 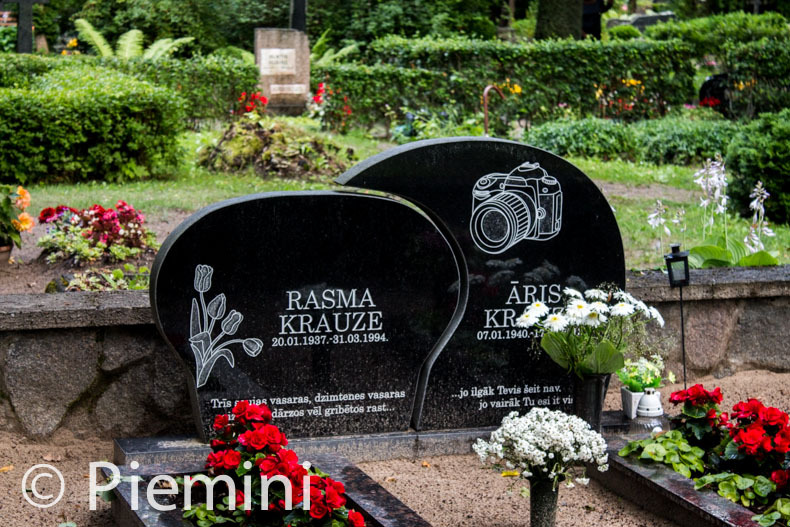 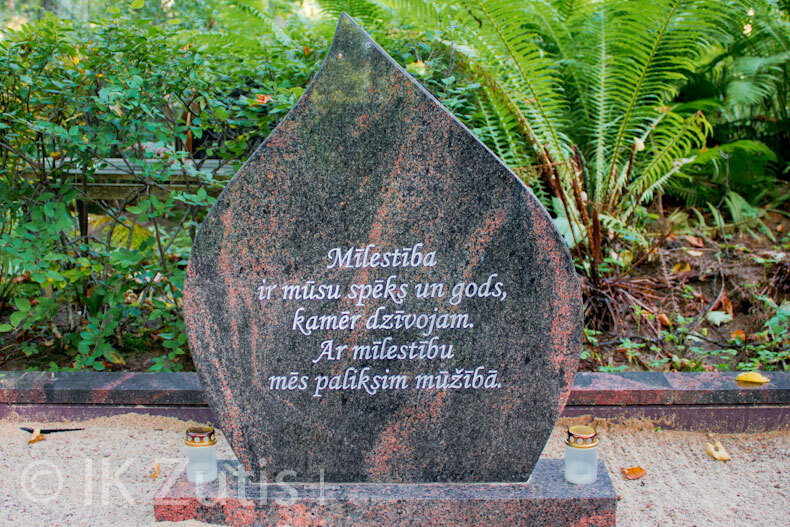 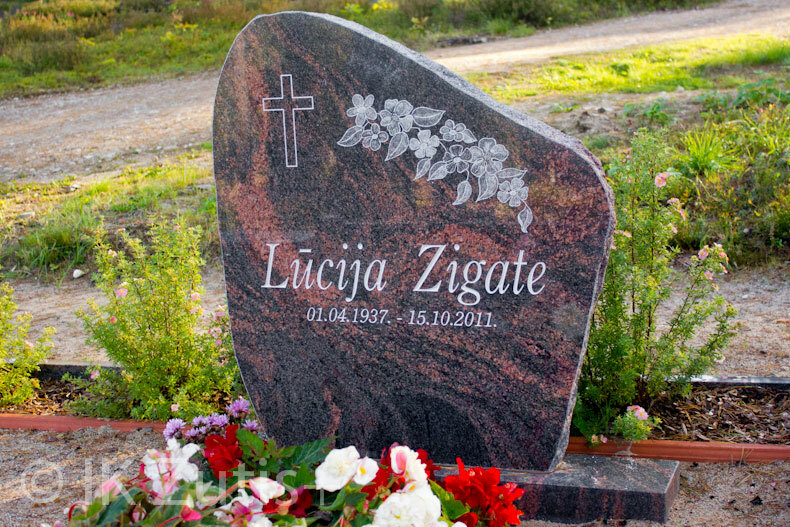 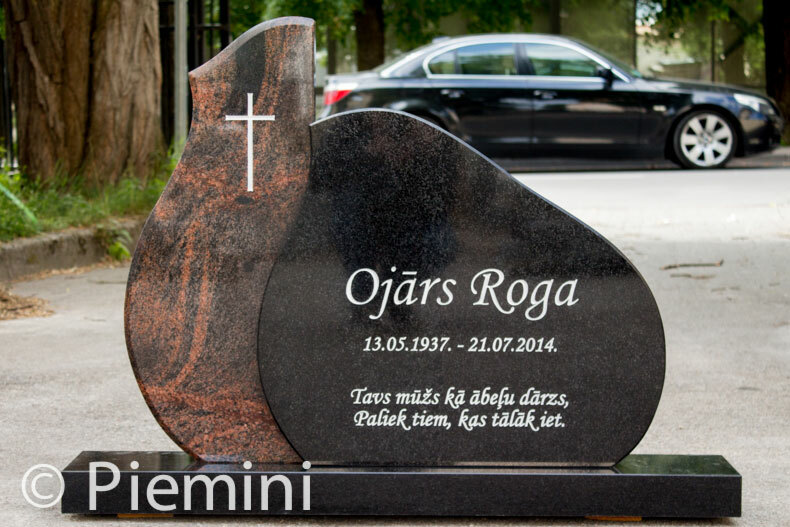 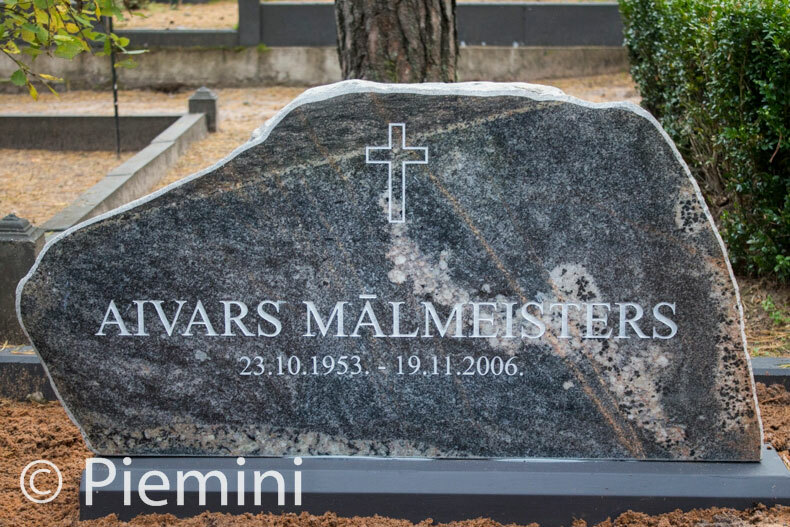 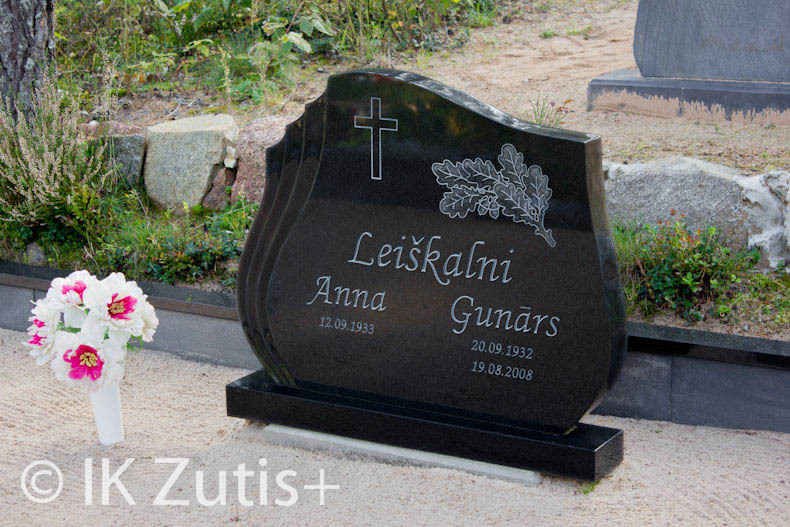 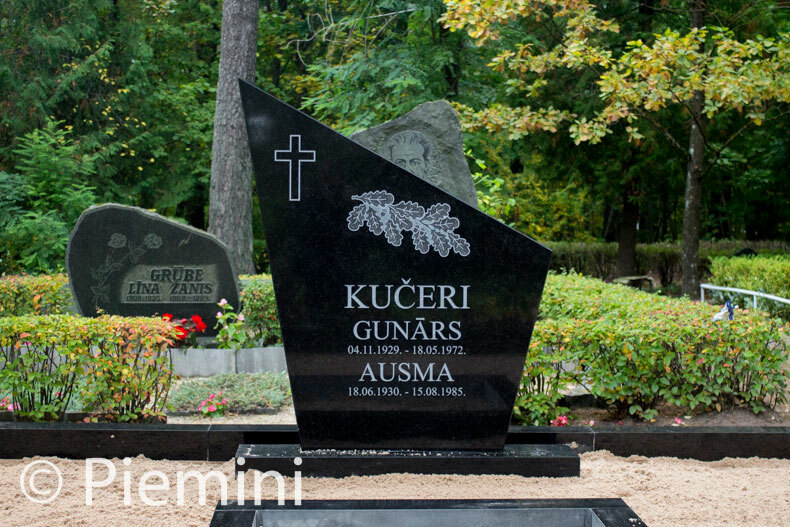 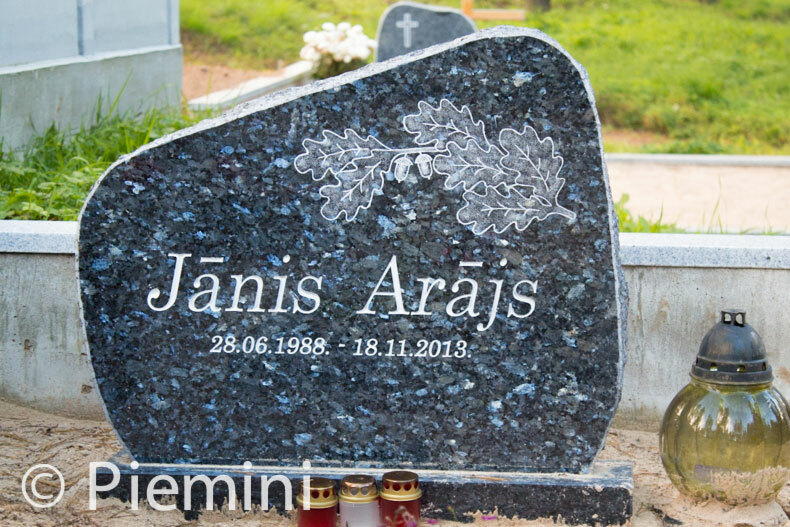 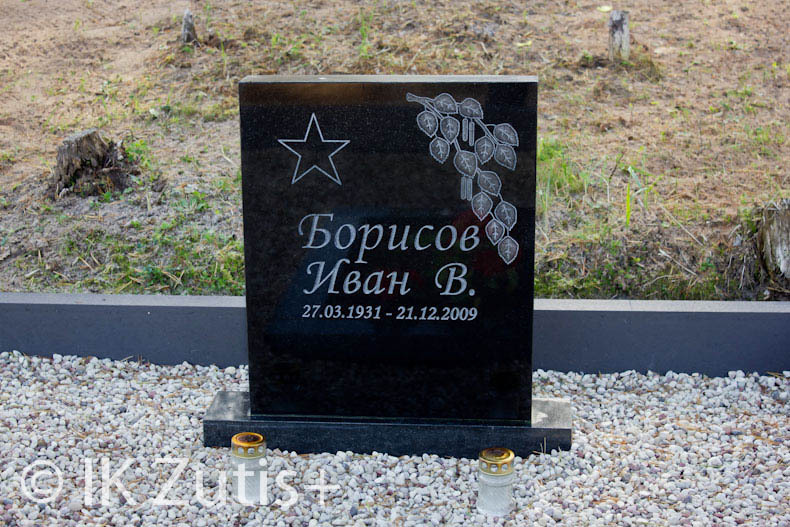 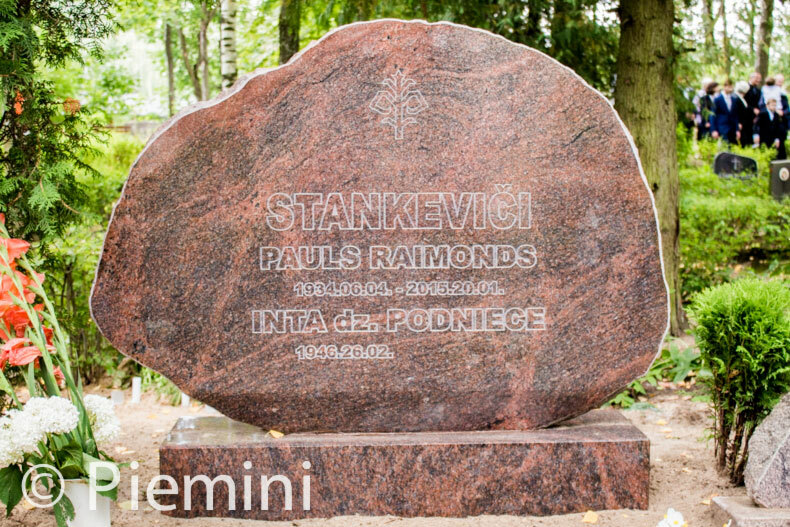 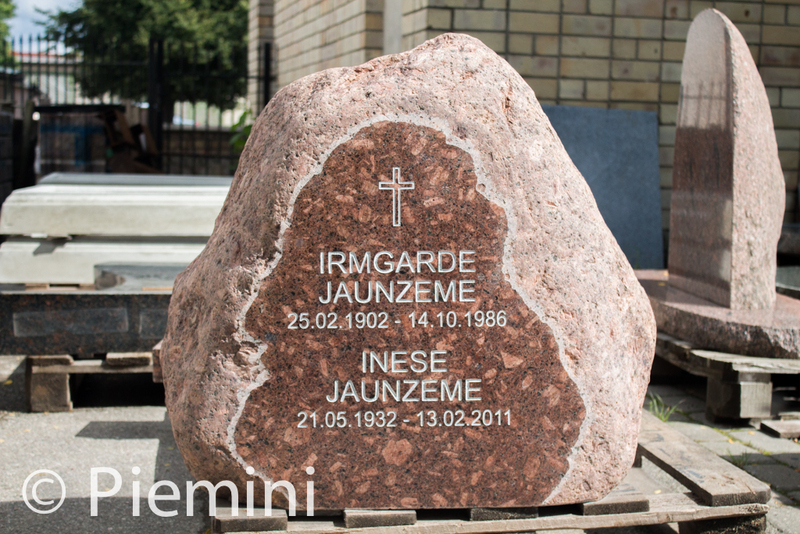 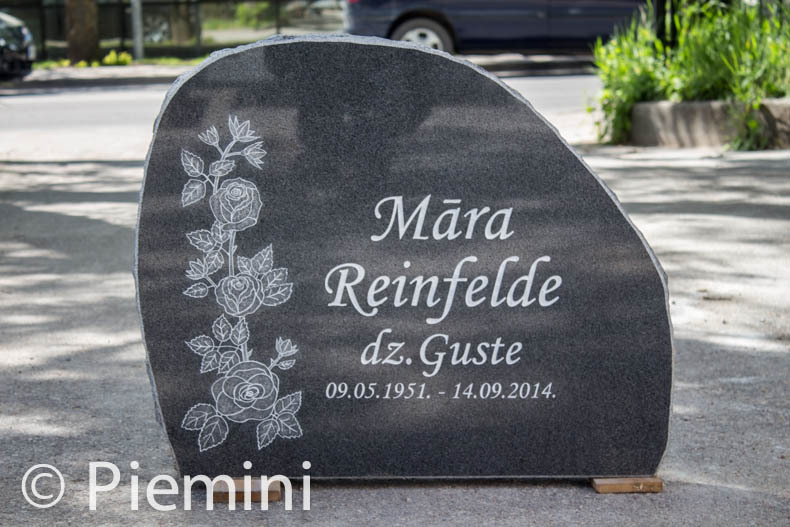 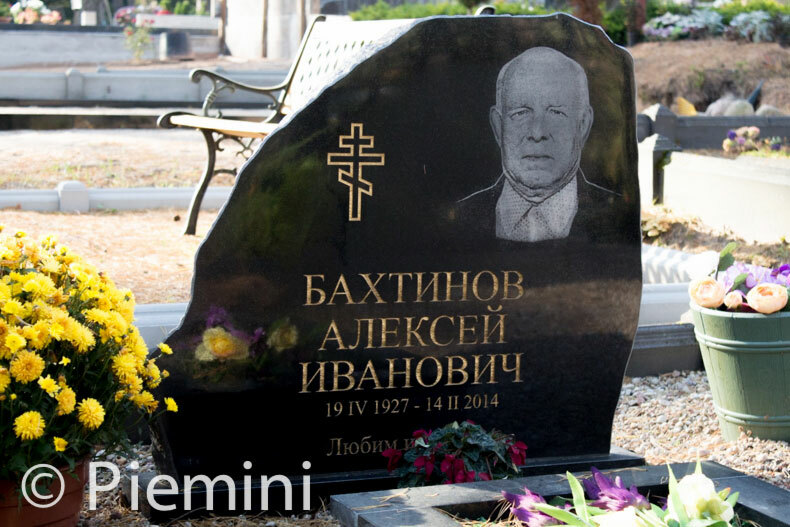 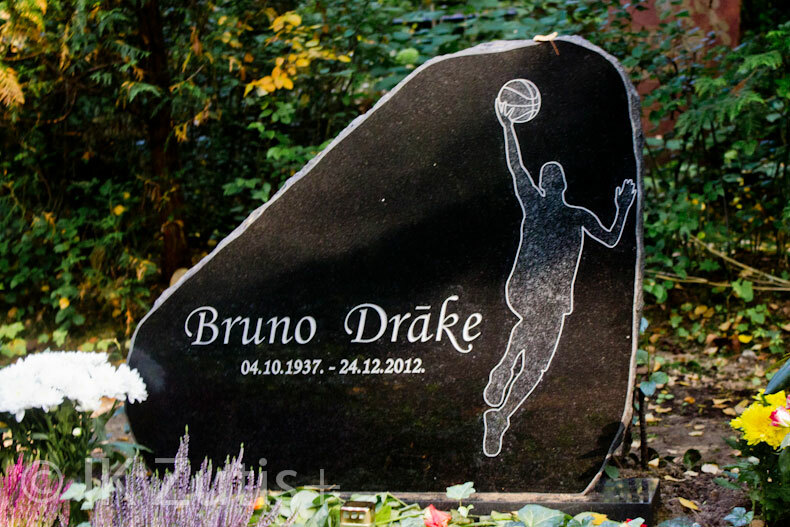 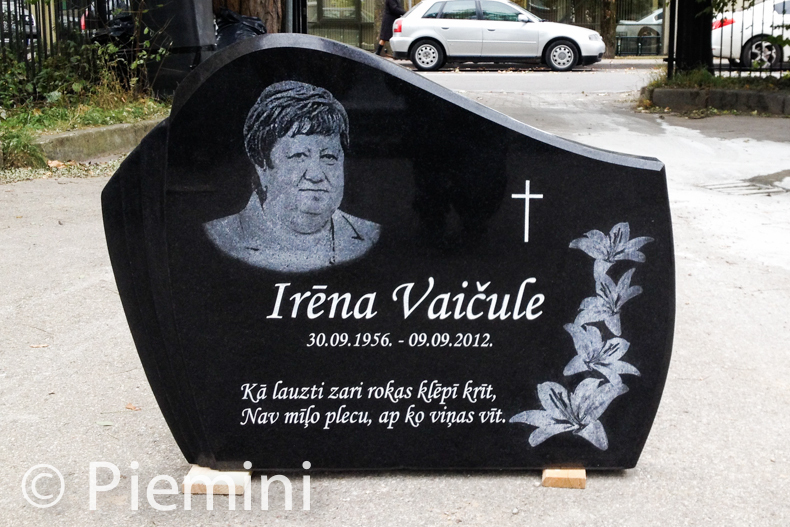 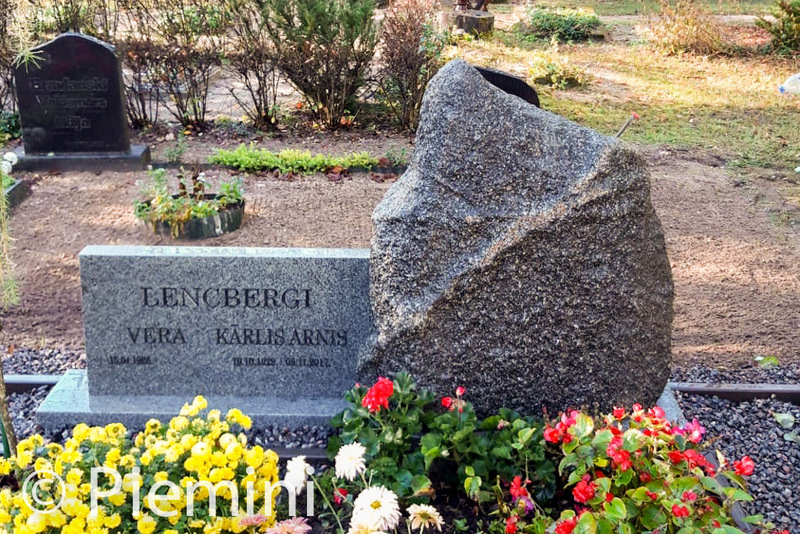 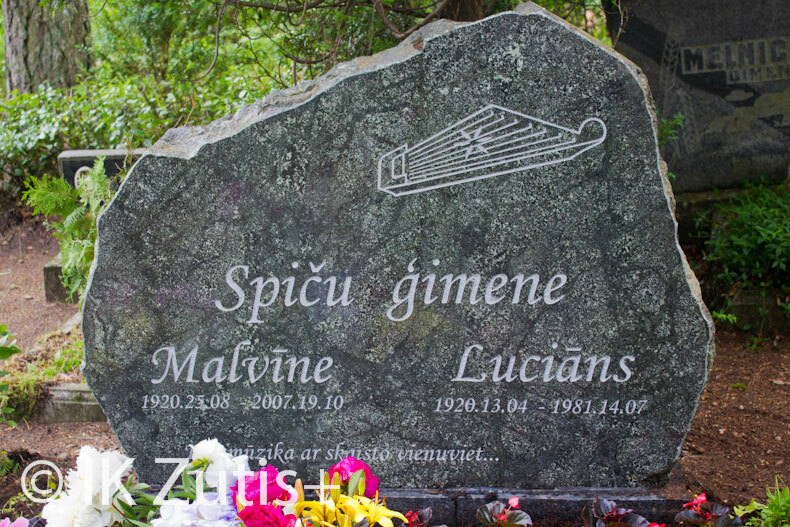 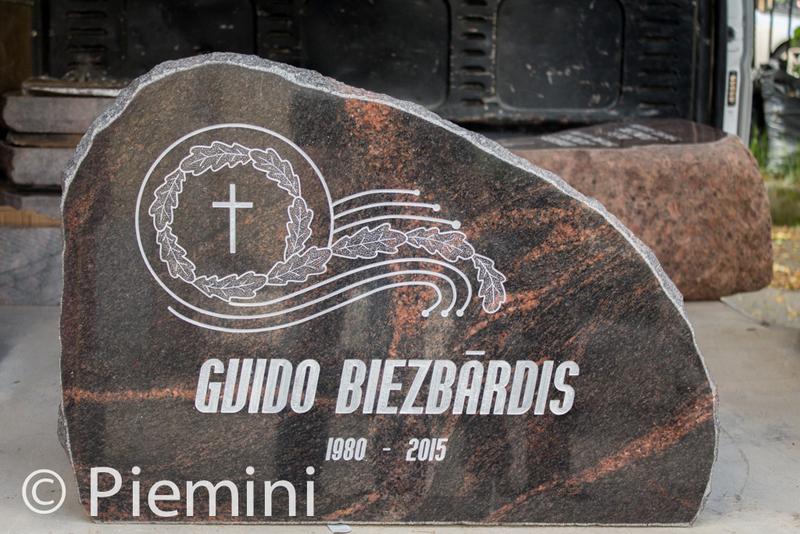 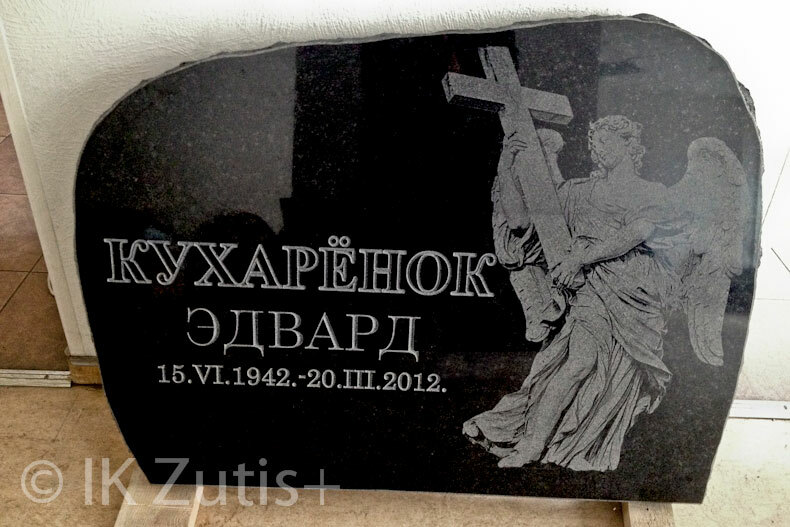 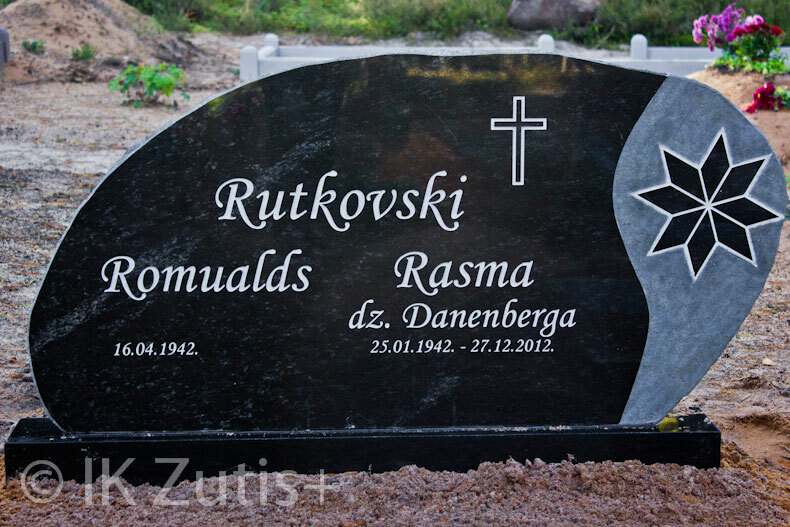 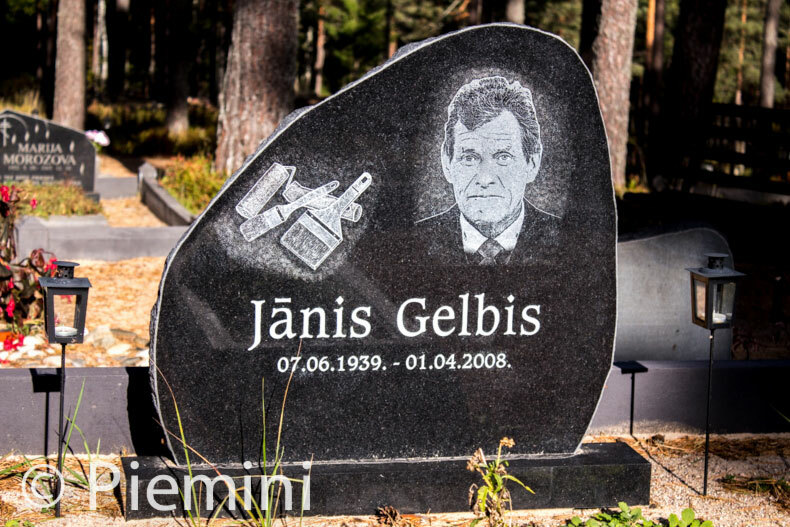 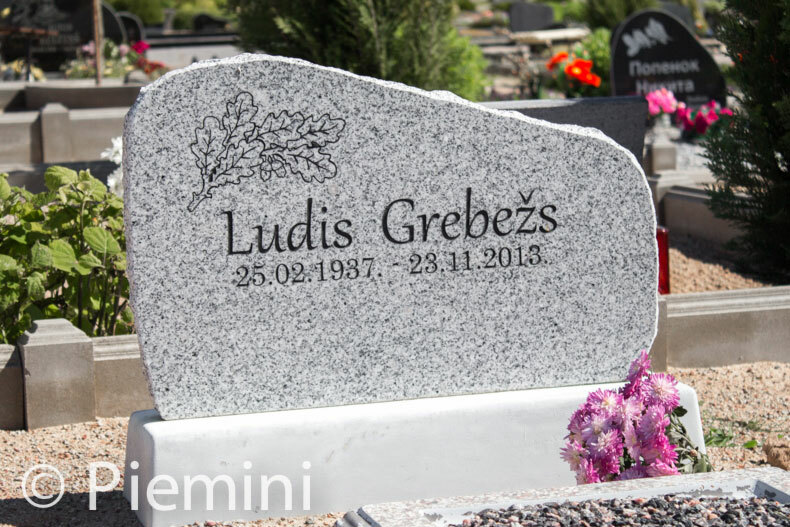 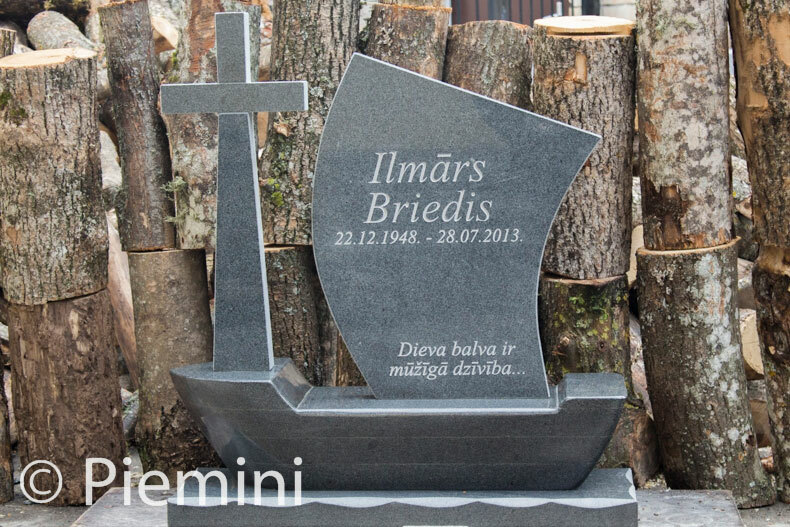 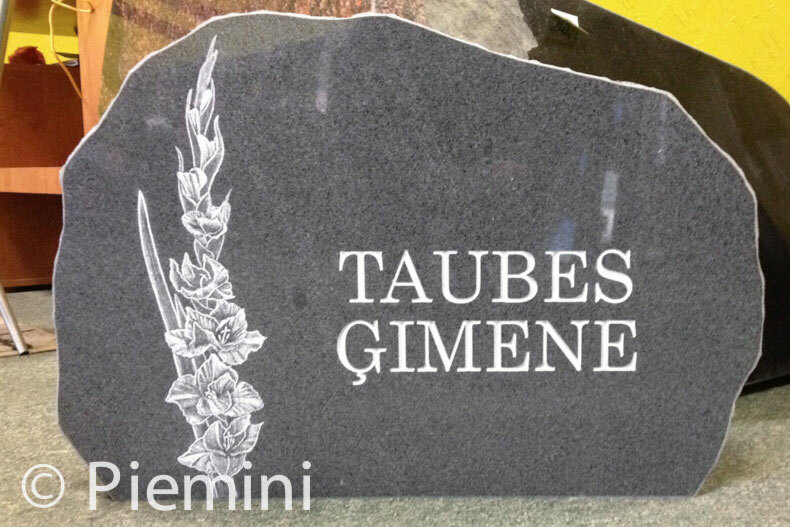 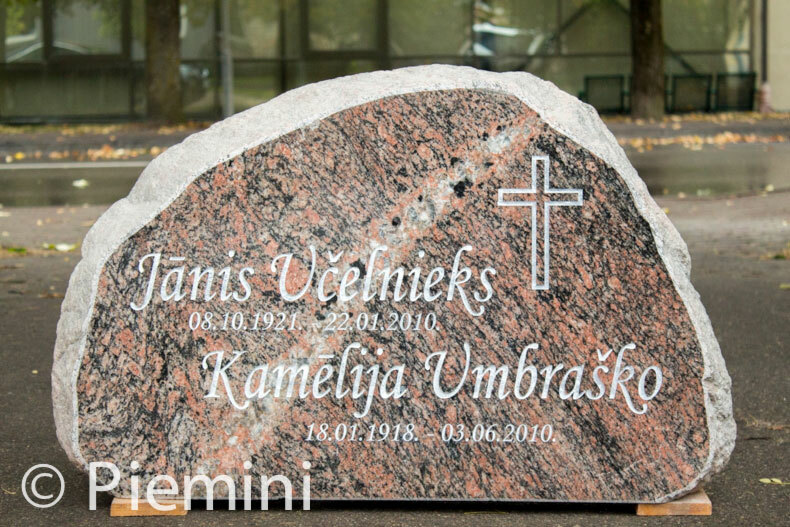 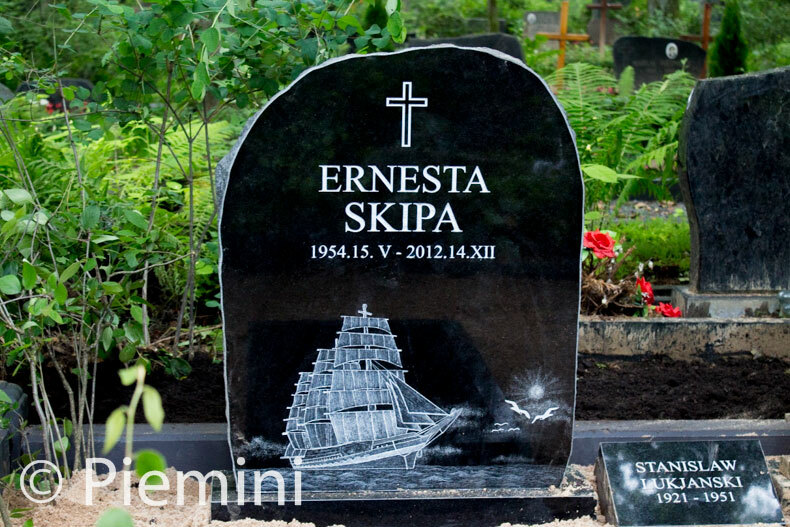 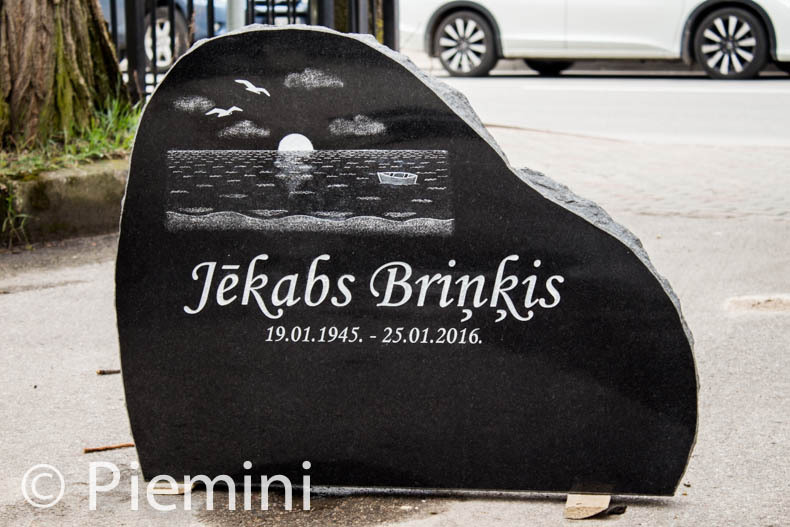 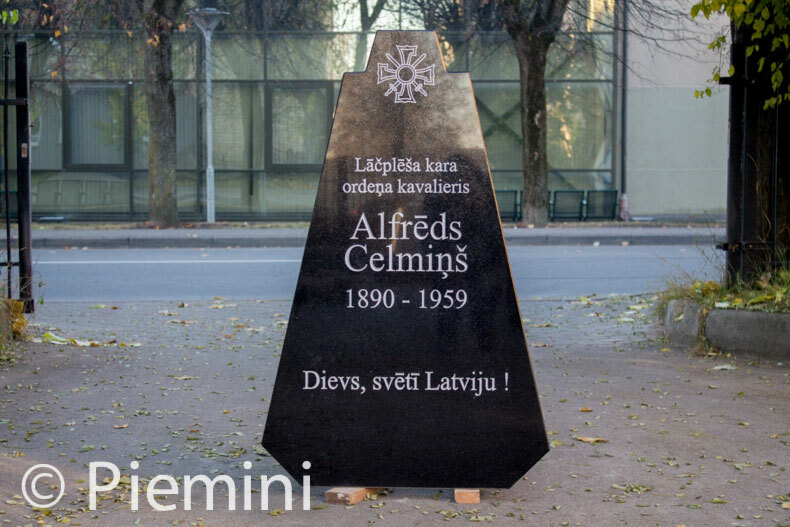 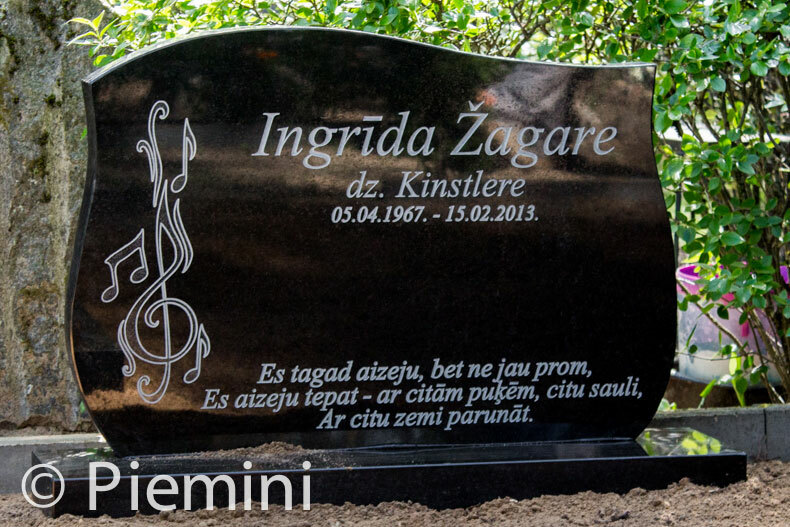 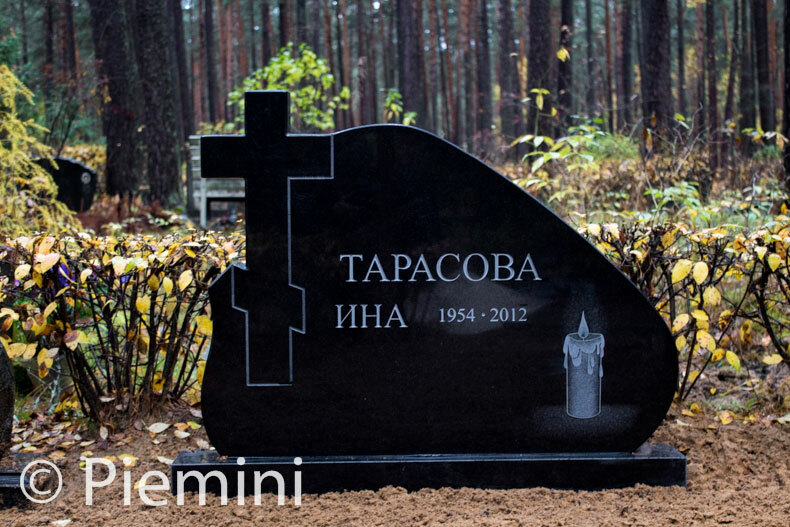 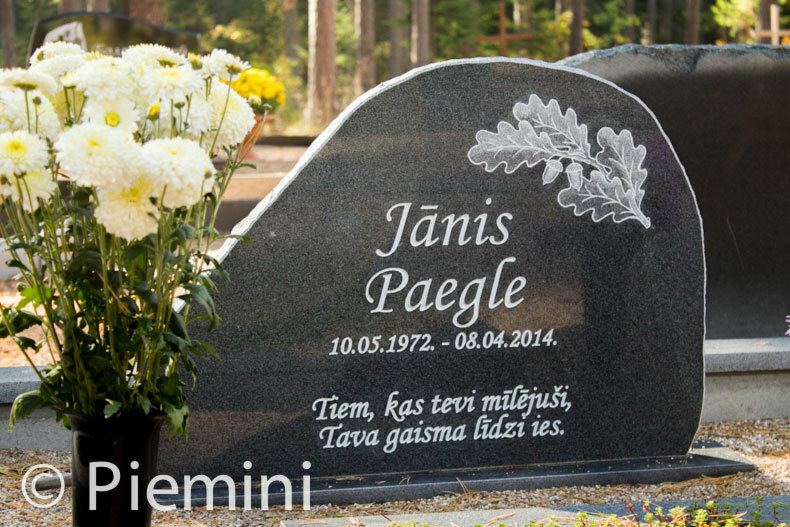 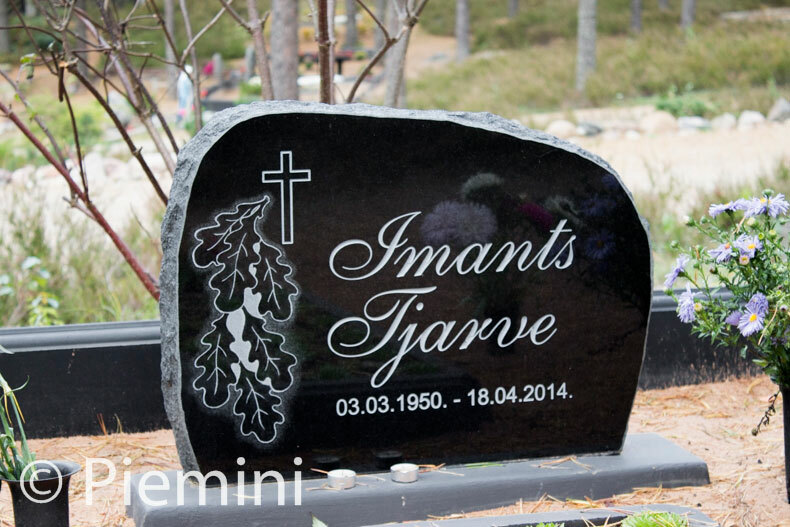 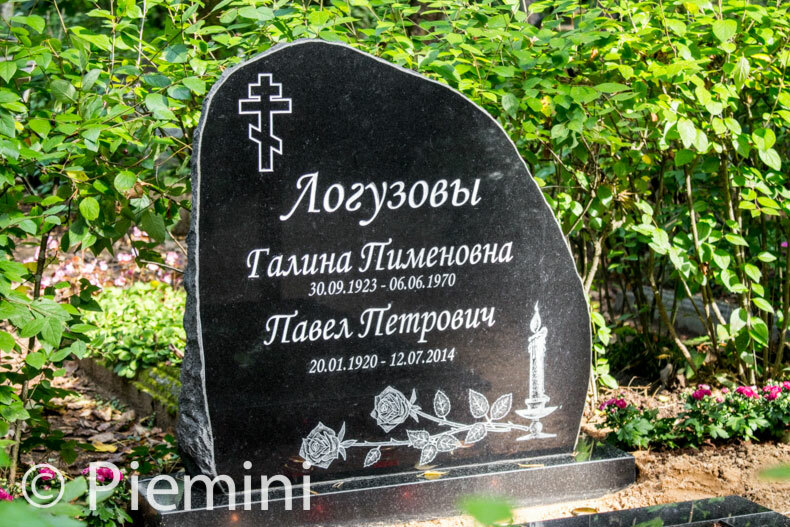 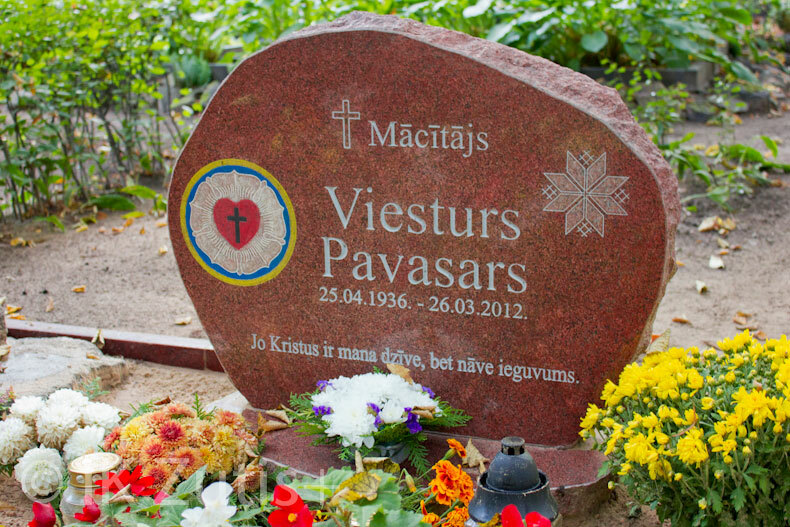 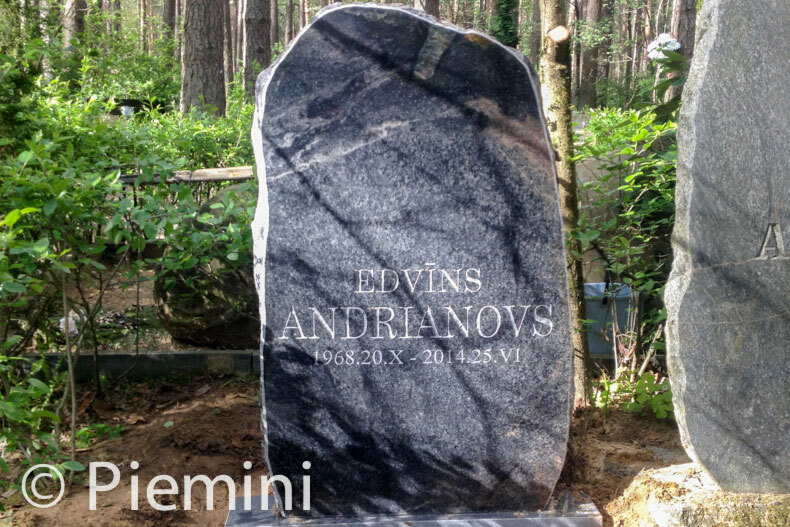 Our tombstones are made of high quality granite to ensure it will server years to come. 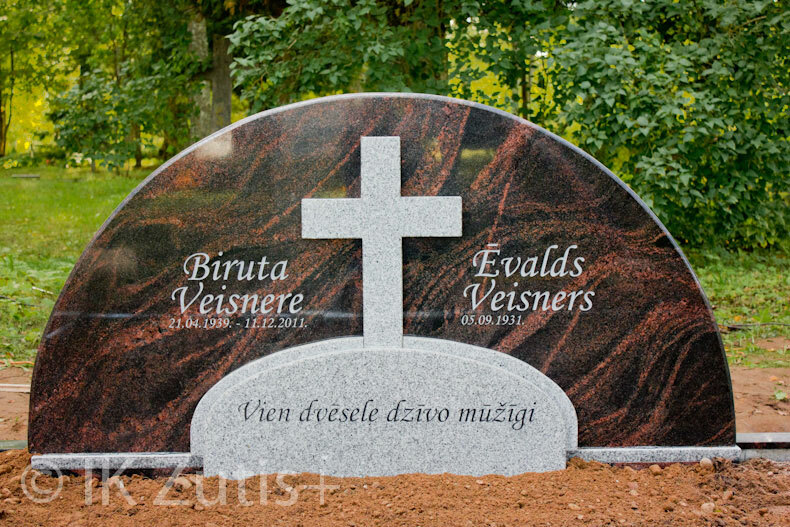 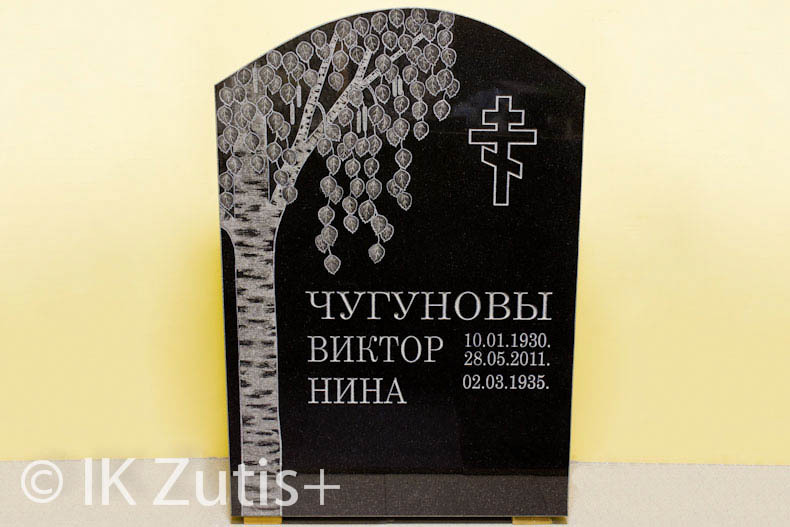 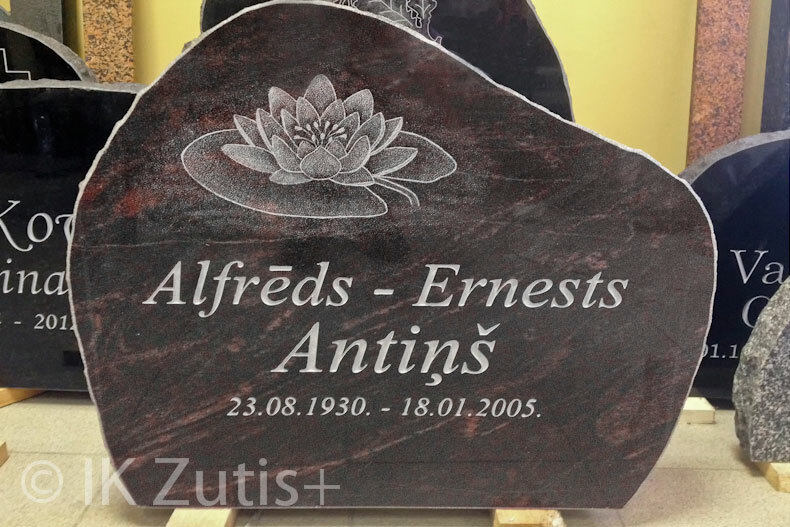 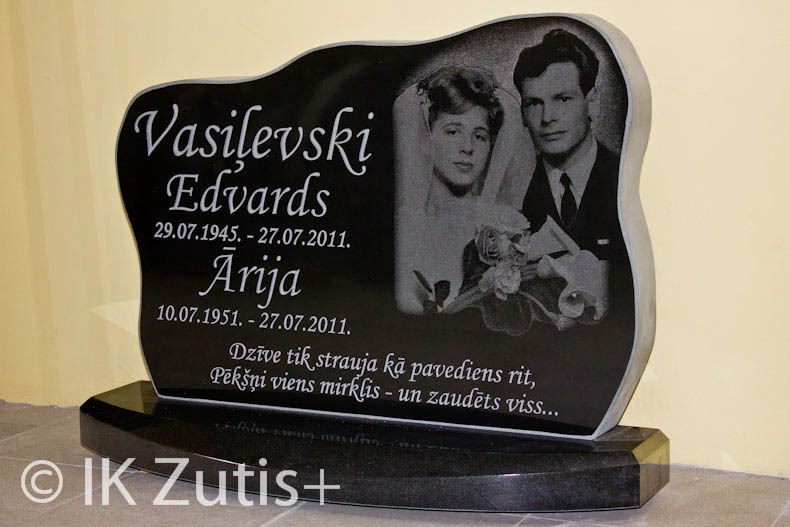 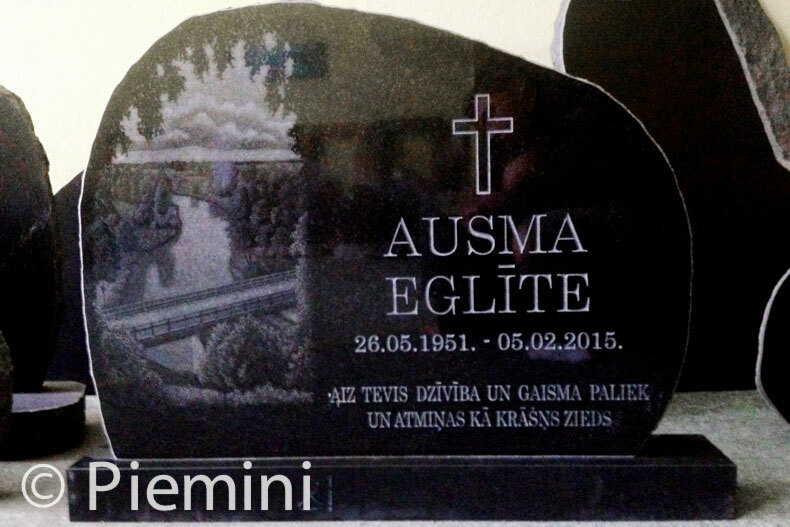 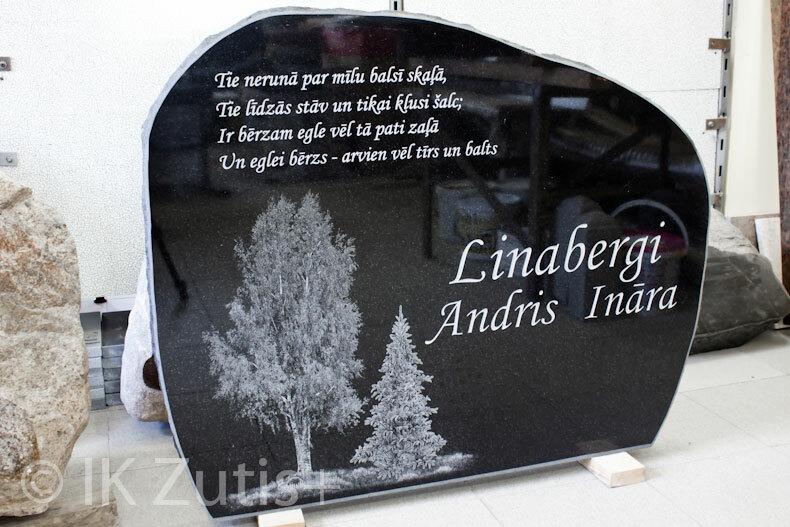 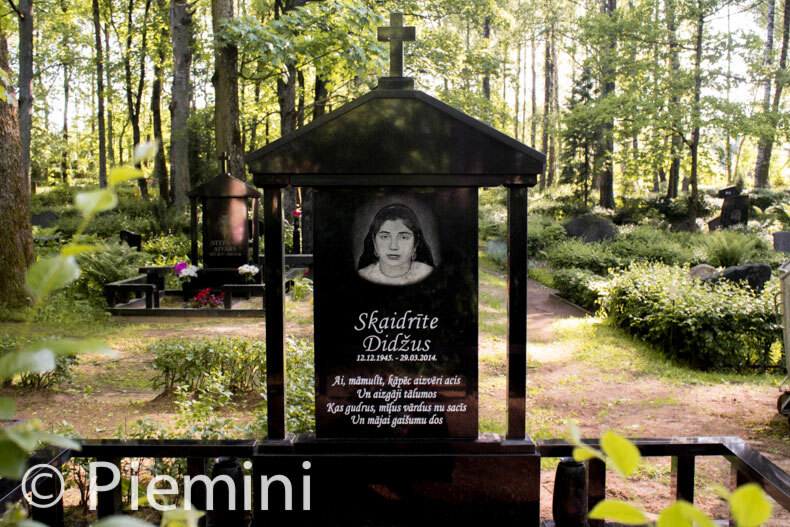 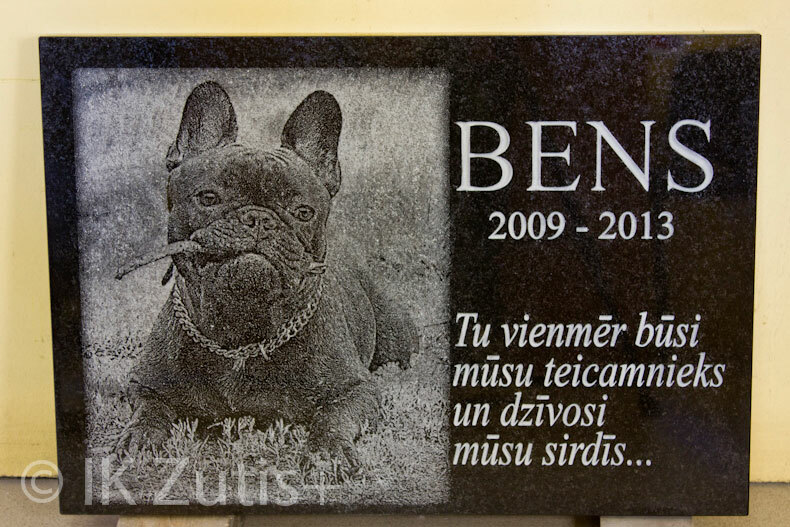 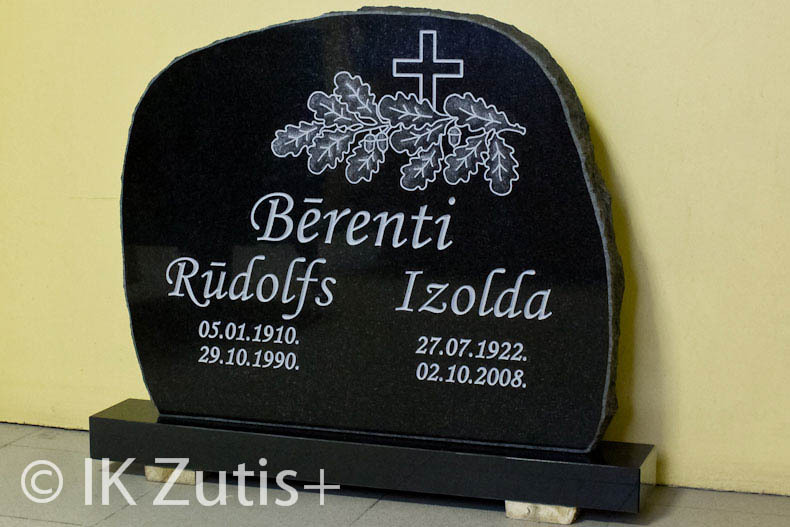 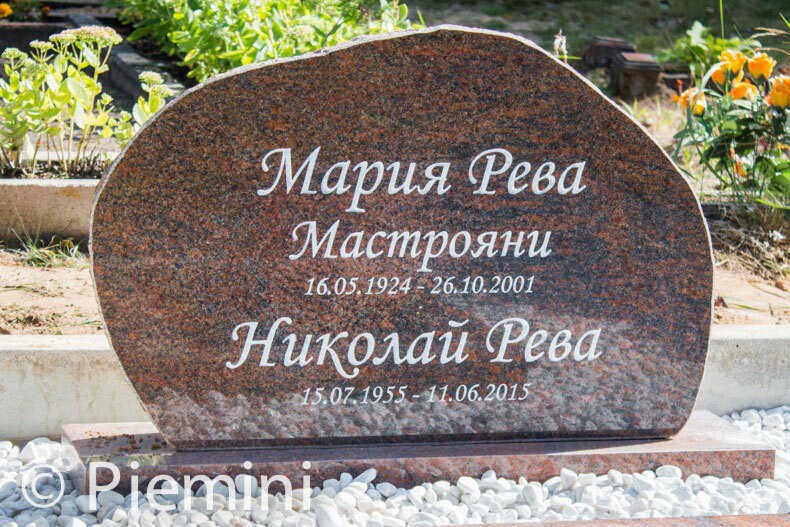 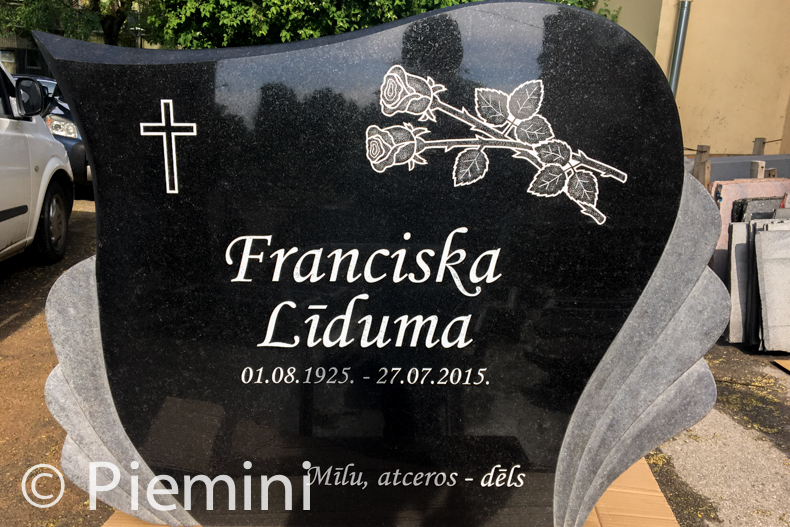 To ensure tombstone ordering process easier to our clients we offer inscription visualisation on chosen tombstone so client could see how tombstone looks like before engraving. 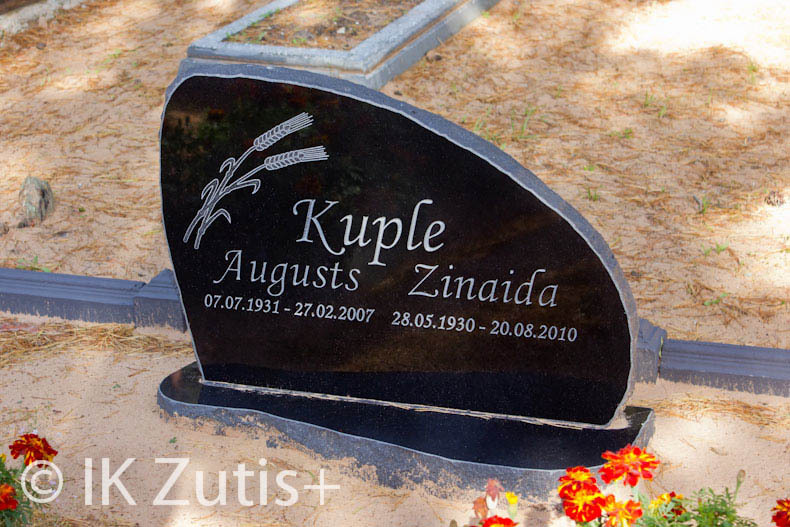 It’s great tool to clear doubt and ensure that client has made chose he wants about tombstone design. 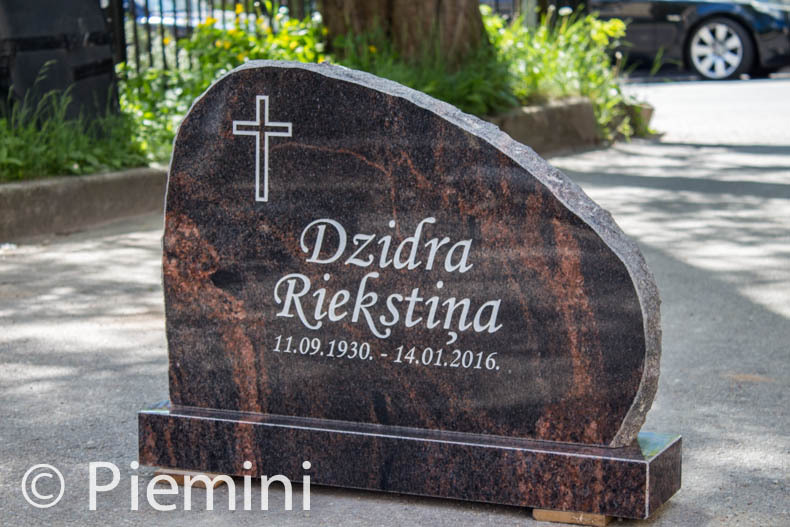 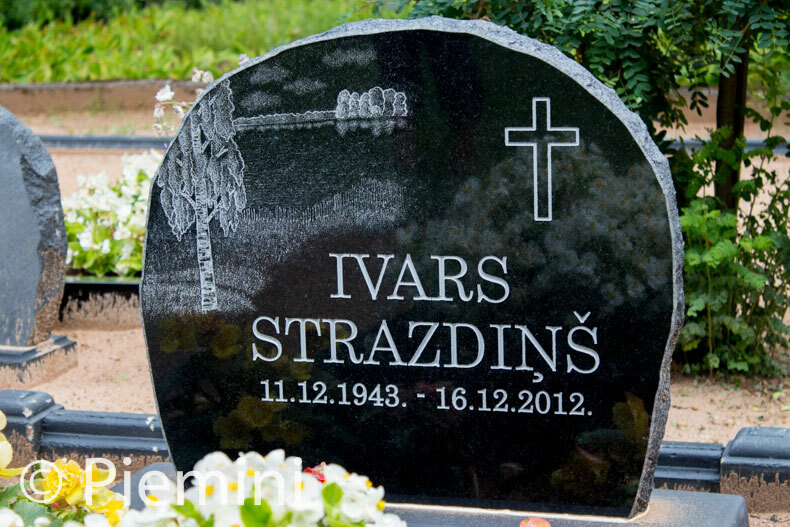 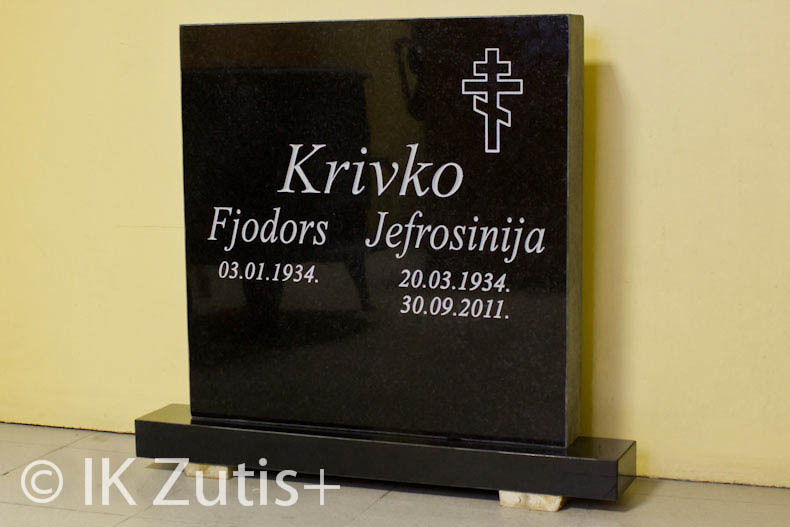 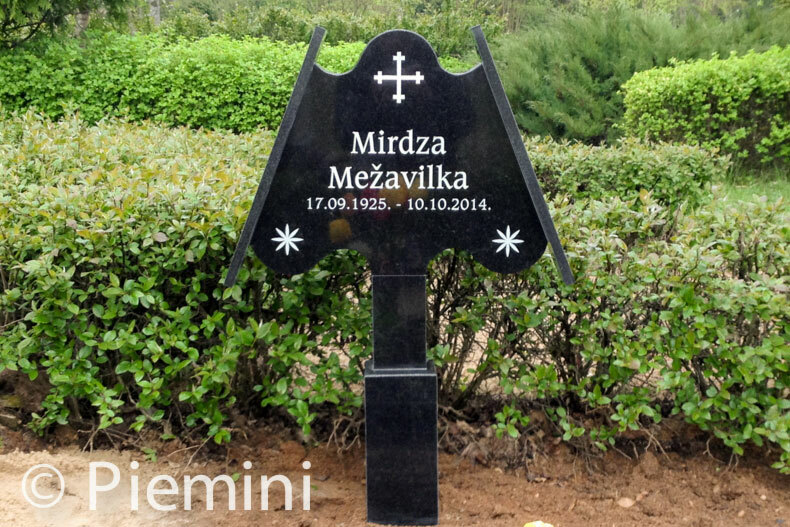 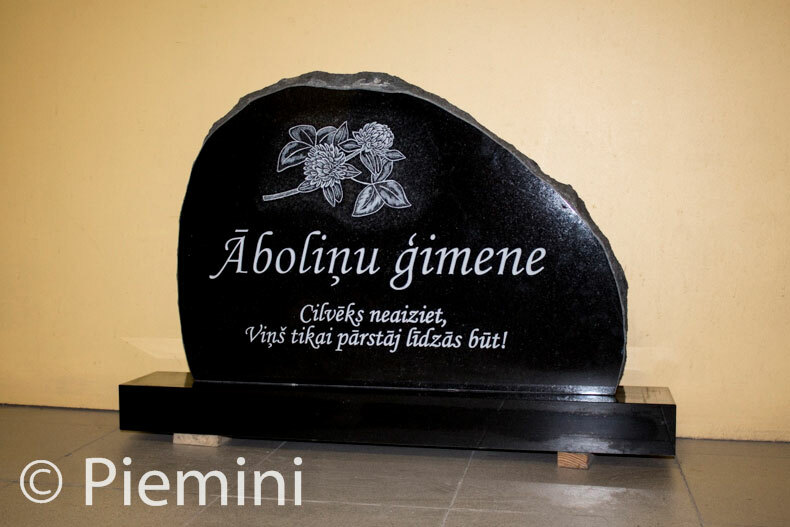 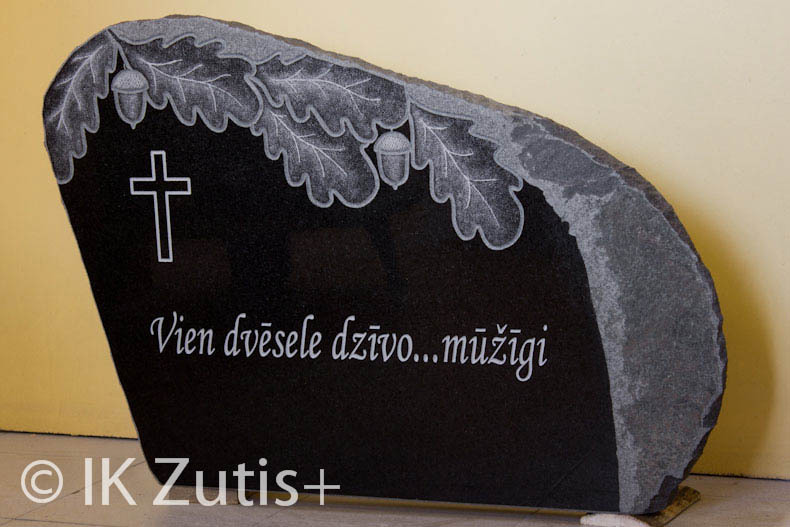 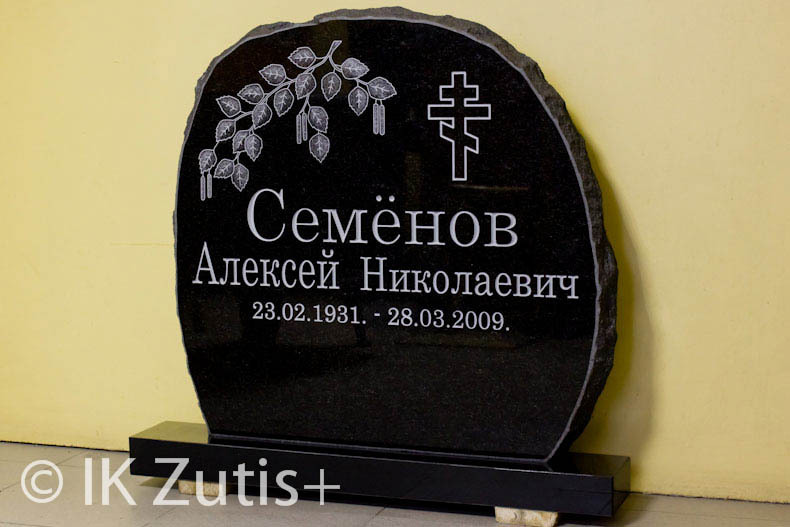 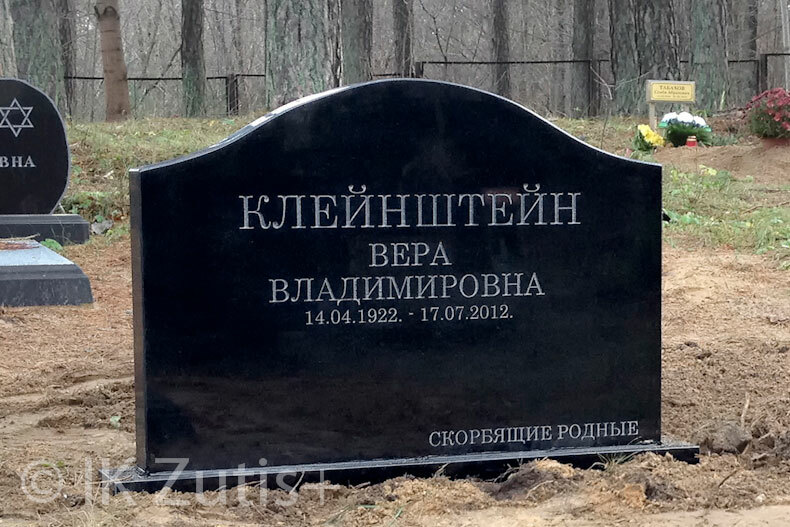 Our factory offers to make tombstones for clients specific to their requirements: drawings, measurements, materials, surface finishes. 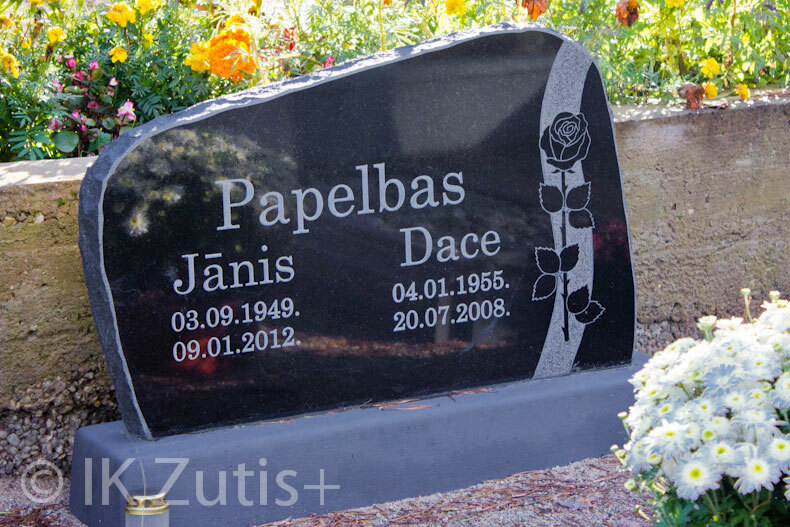 Individual approach for every client from consultation to finished project to meet the their every need.